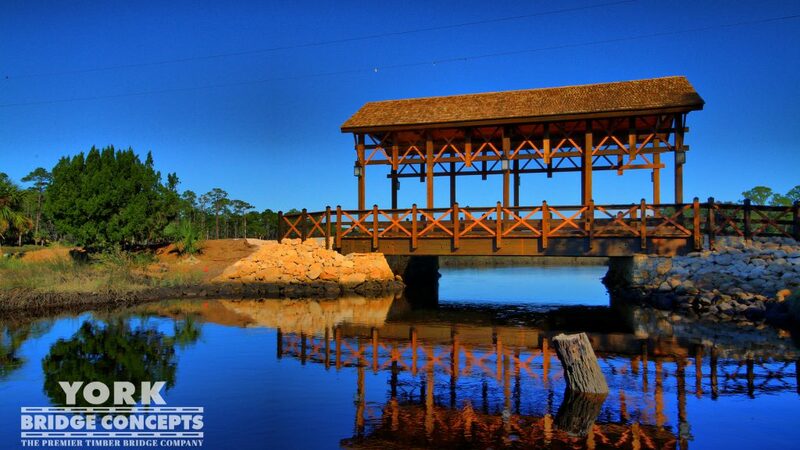 Located off the Intercoastal Waterway and Louis Lake in North Myrtle Beach of South Carolina is a lively, southern-inspired shopping village called Barefoot Landing. 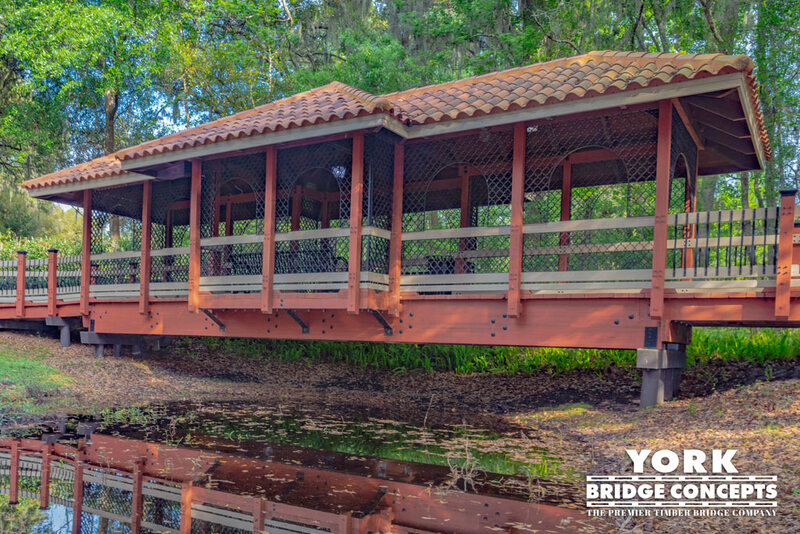 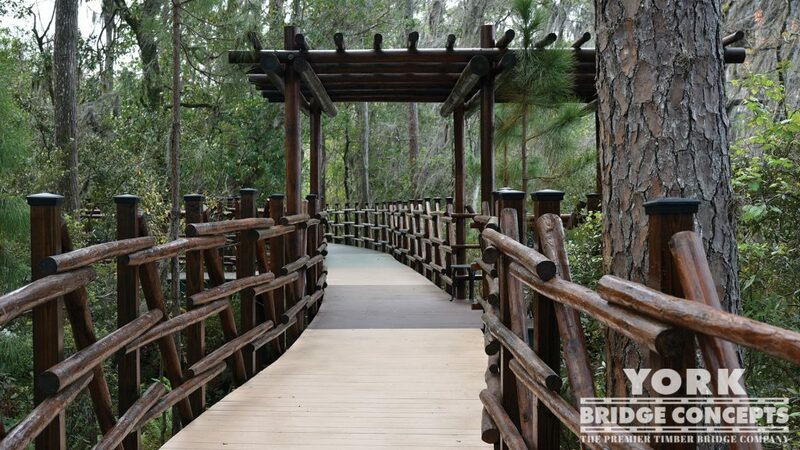 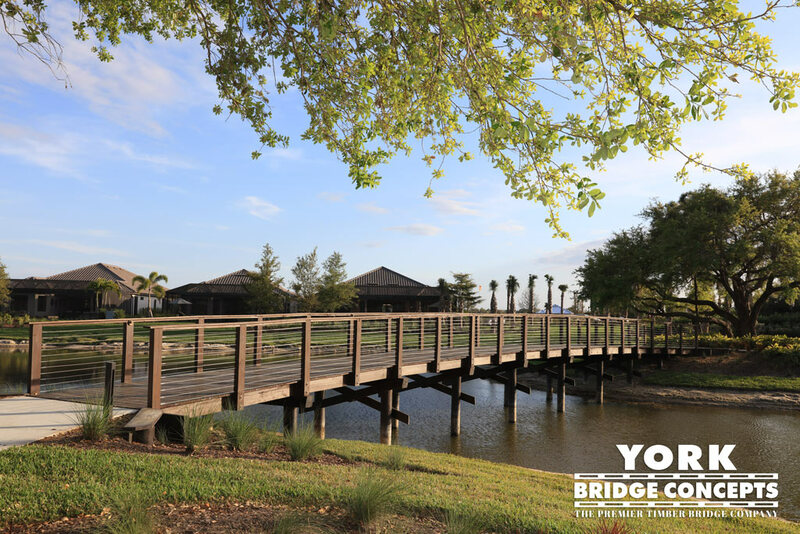 Complete with hundreds of unique shops, delicious eateries, entertainment venues, and a nature adventure park featuring American Alligators, there’s something for everyone in this popular tourist destination. 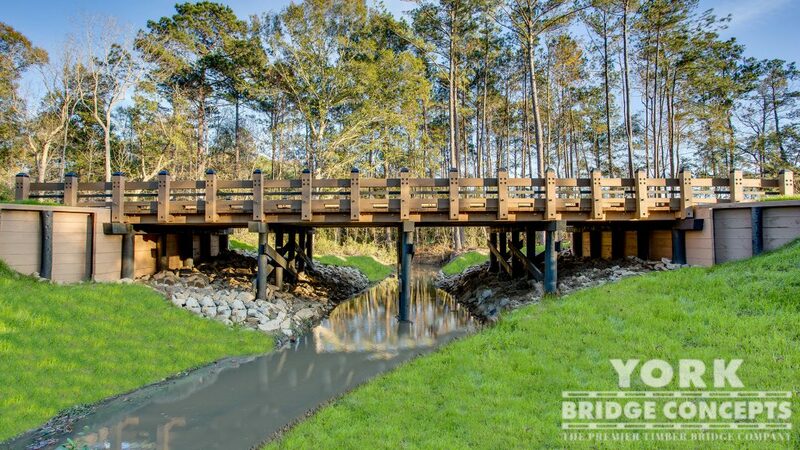 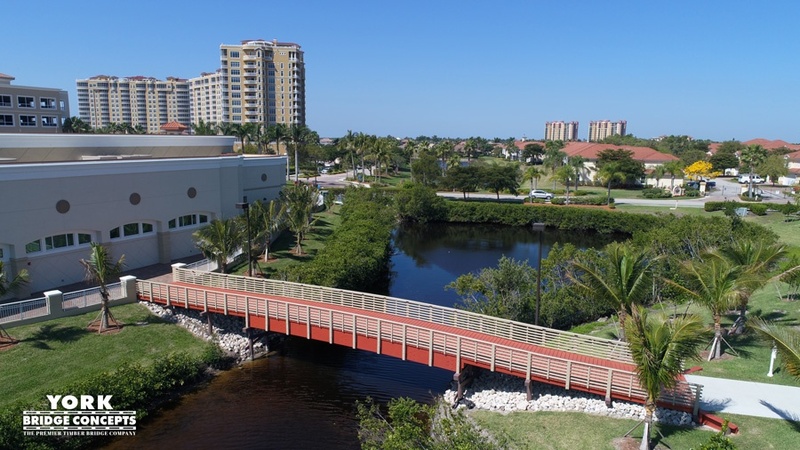 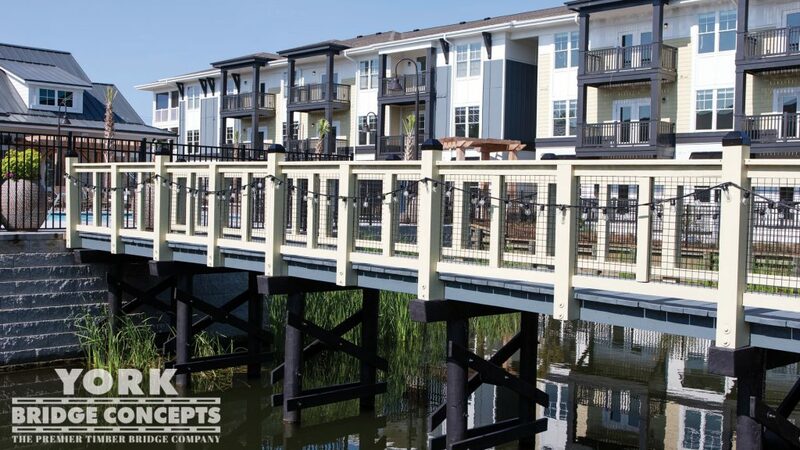 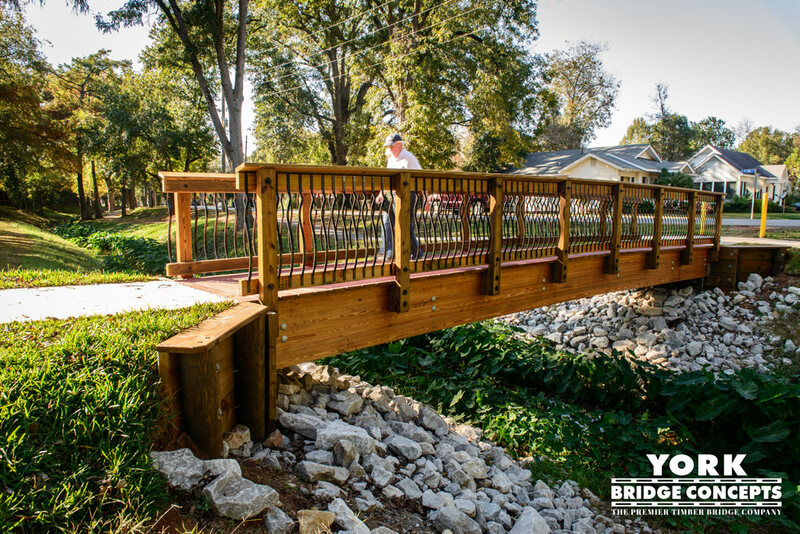 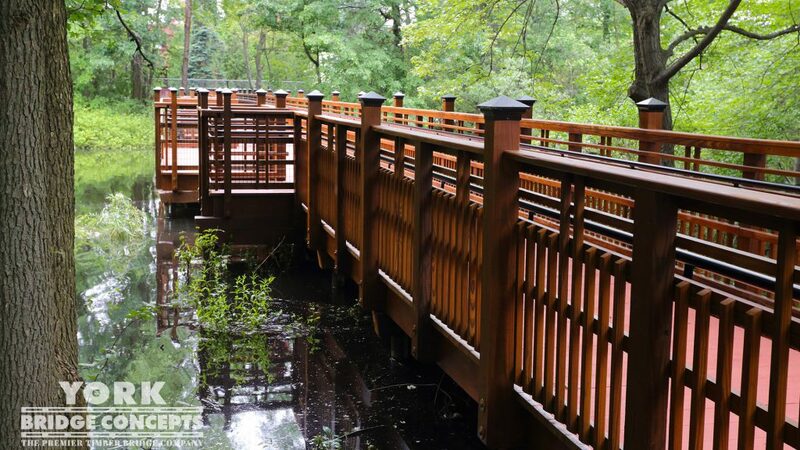 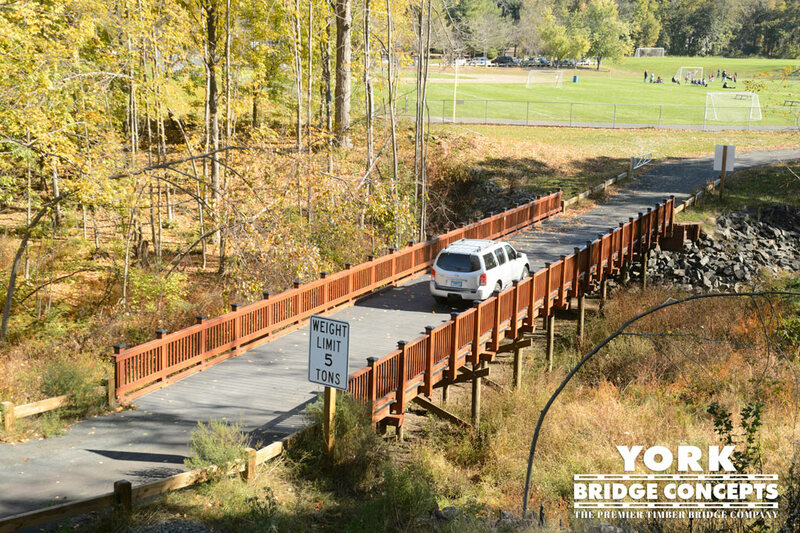 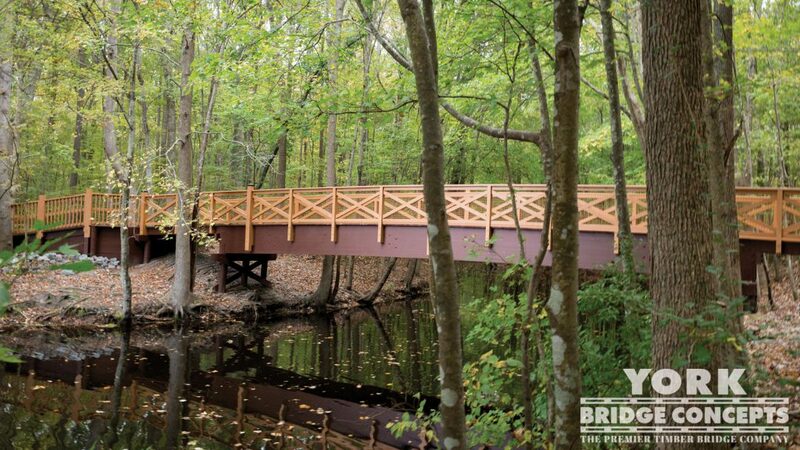 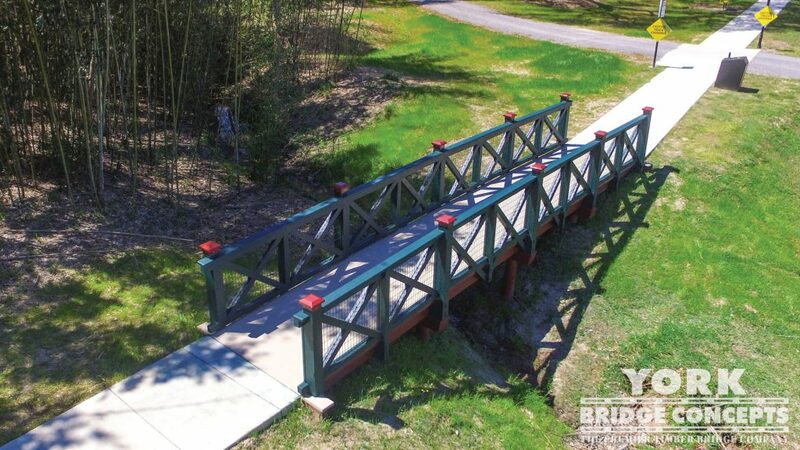 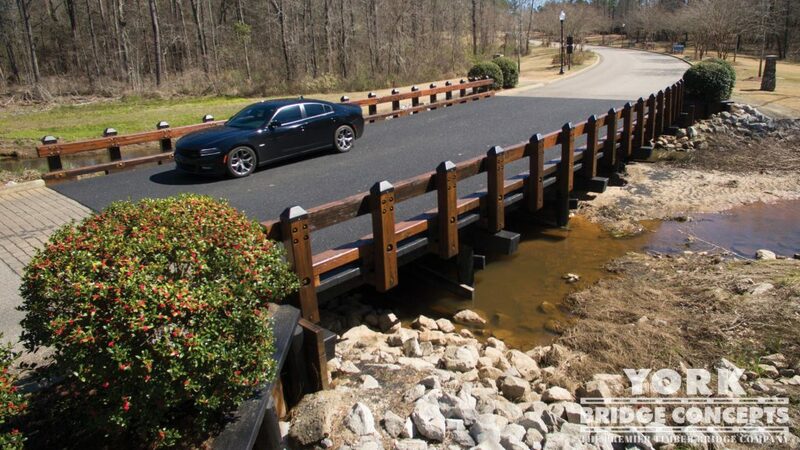 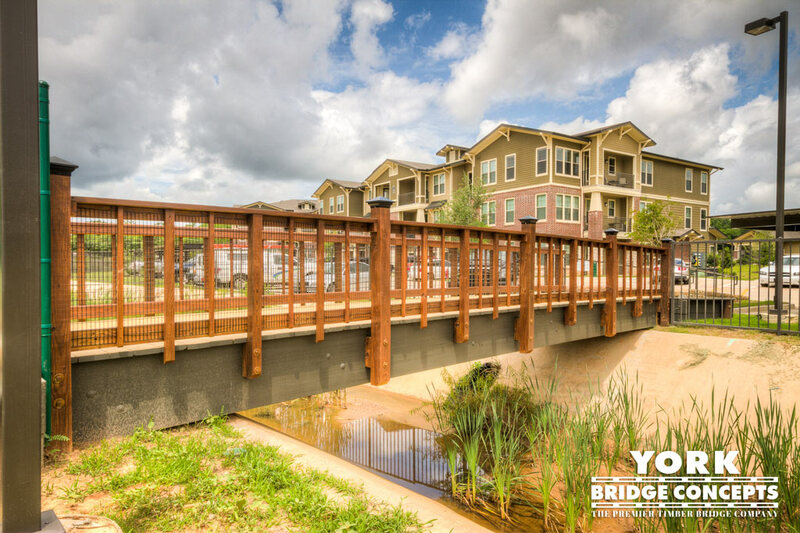 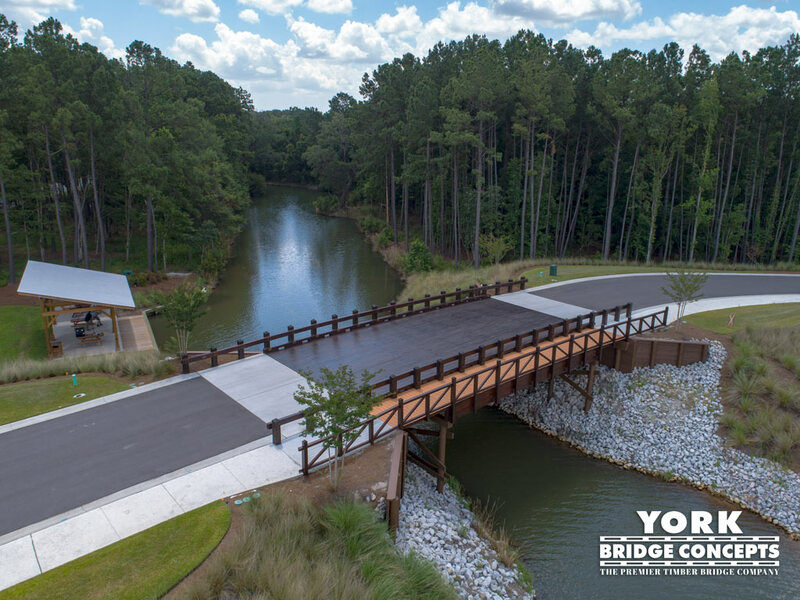 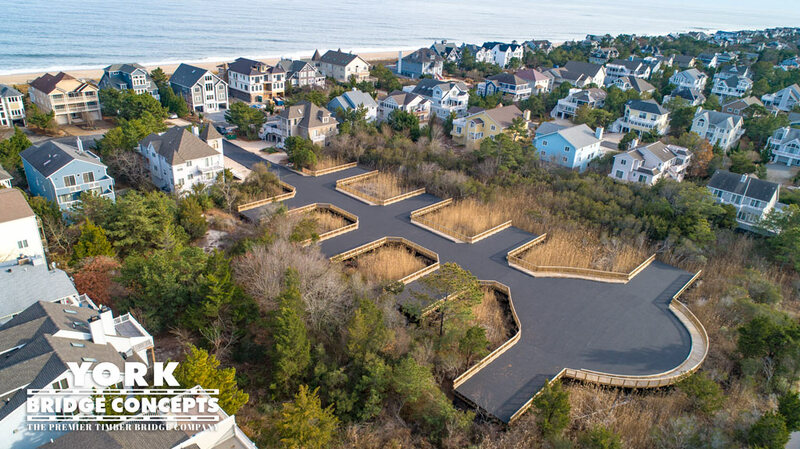 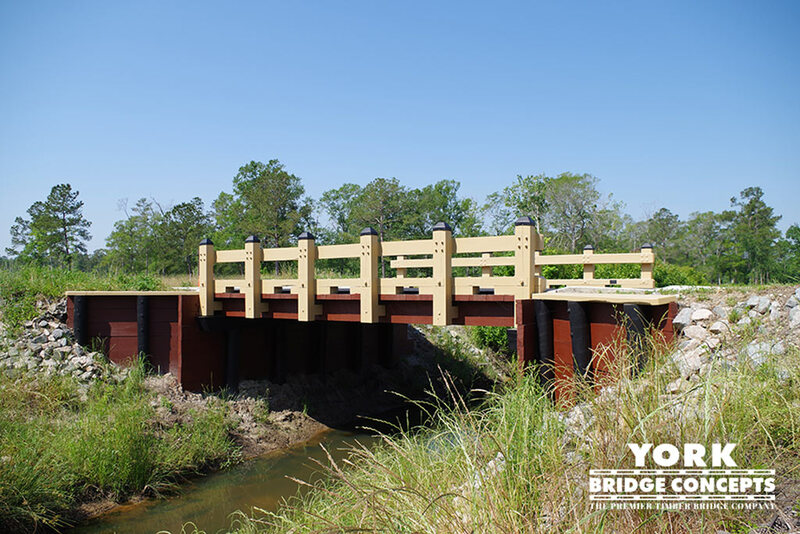 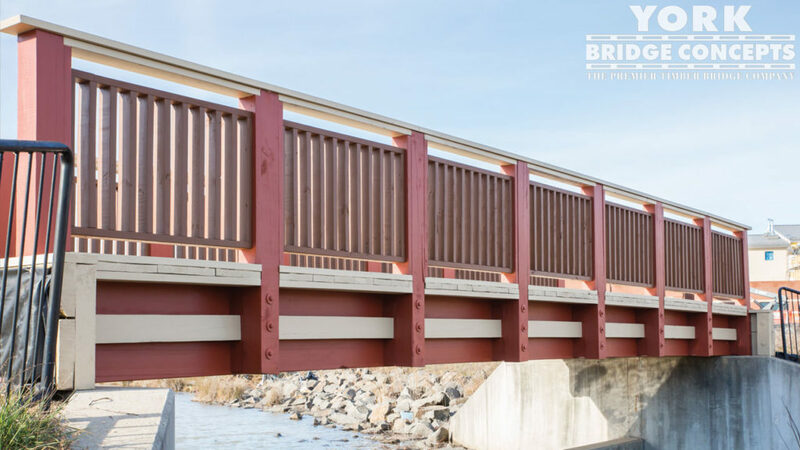 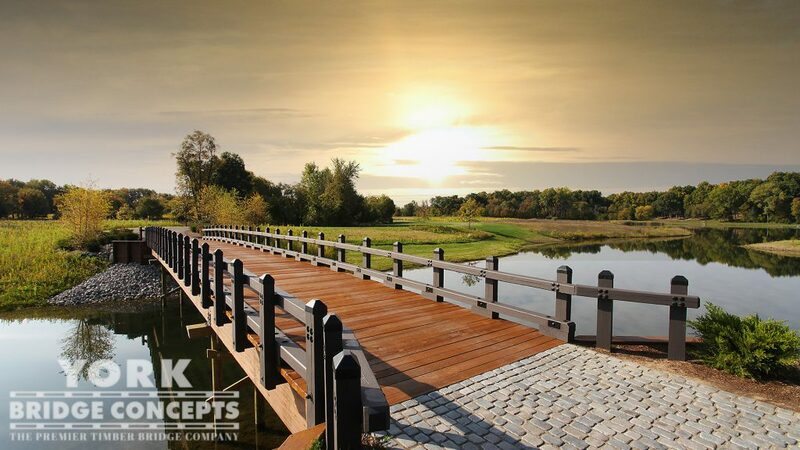 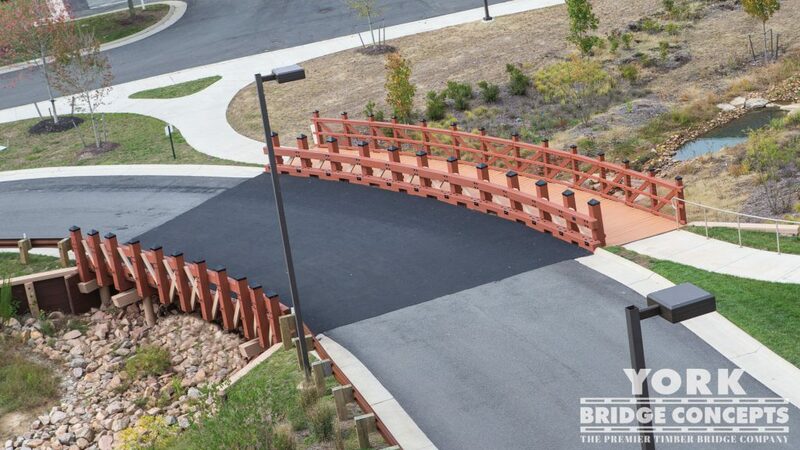 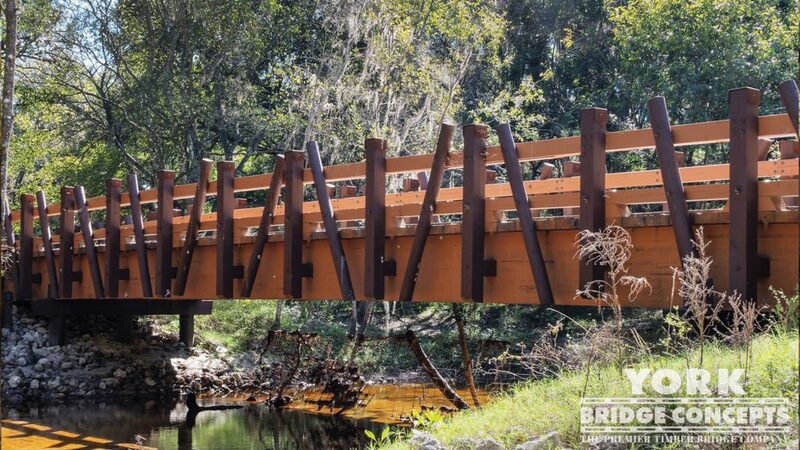 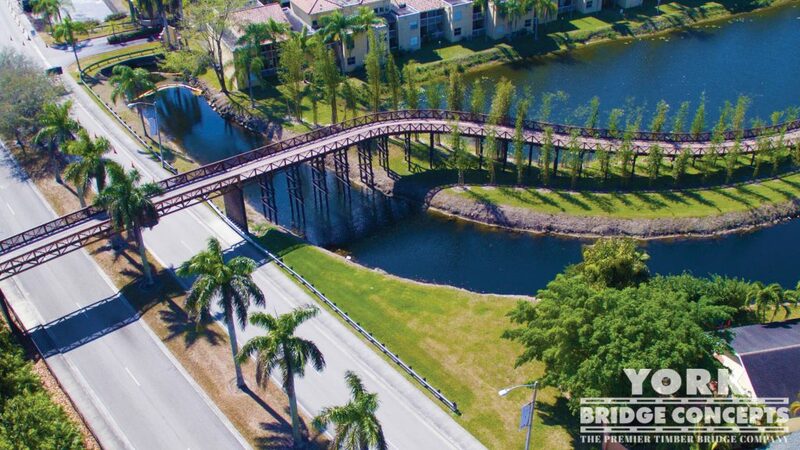 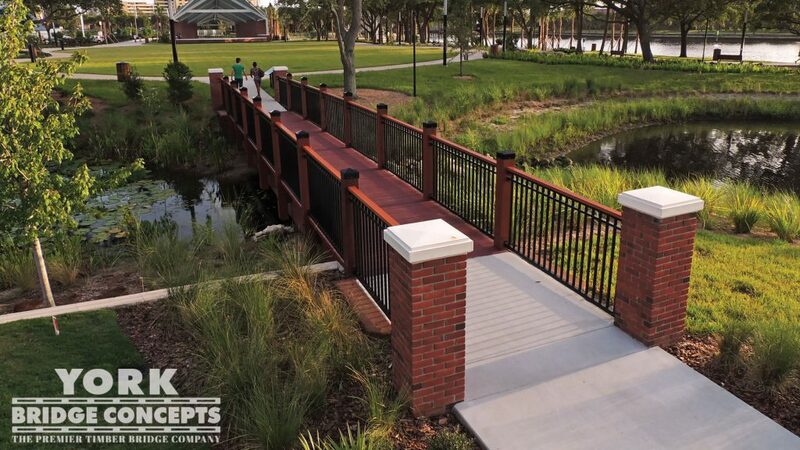 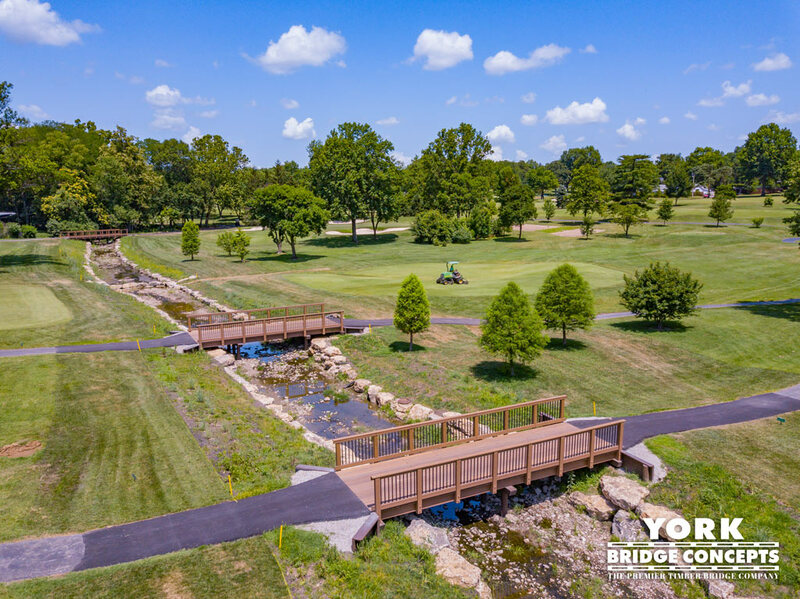 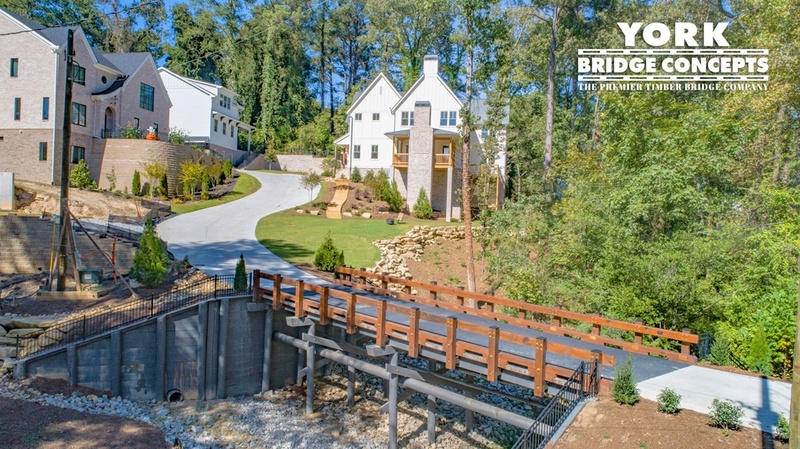 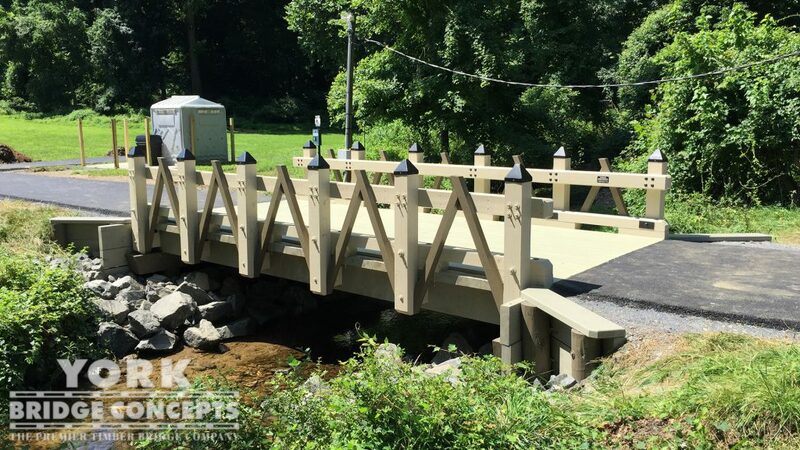 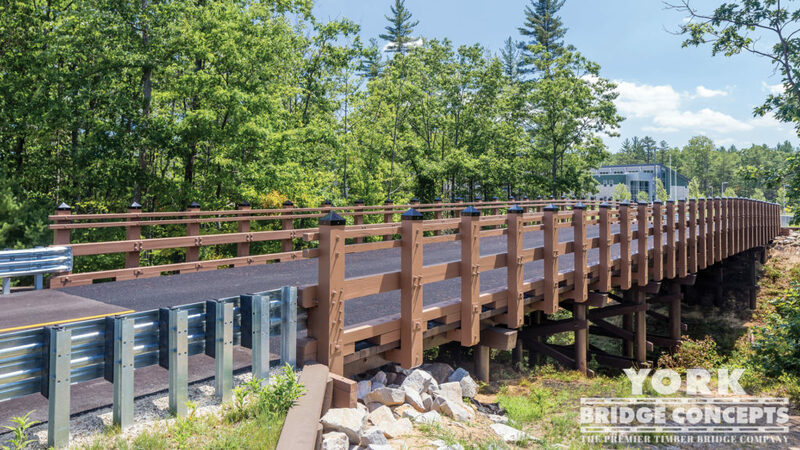 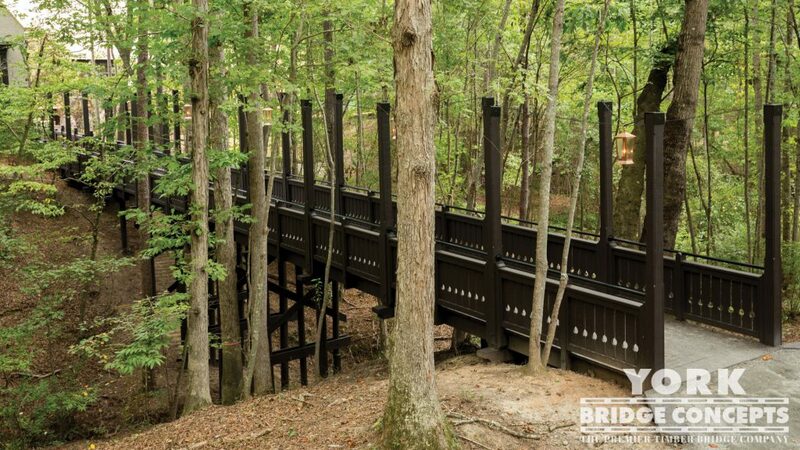 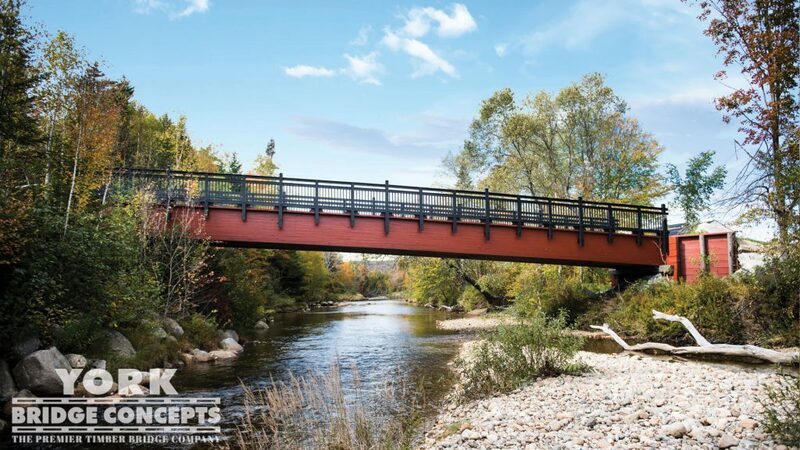 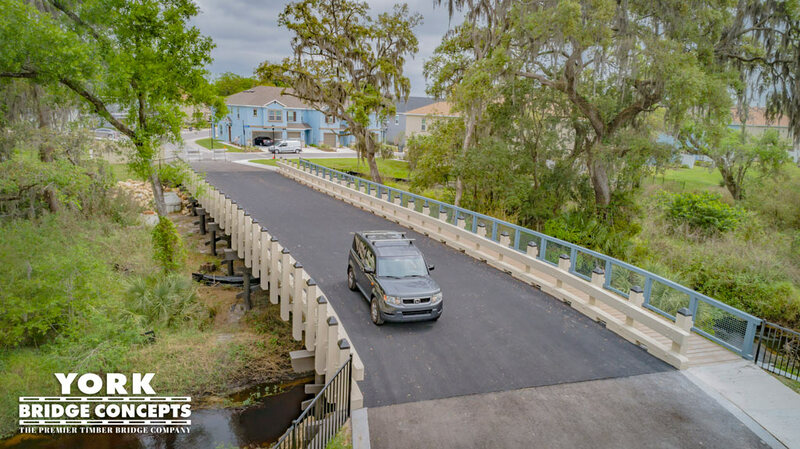 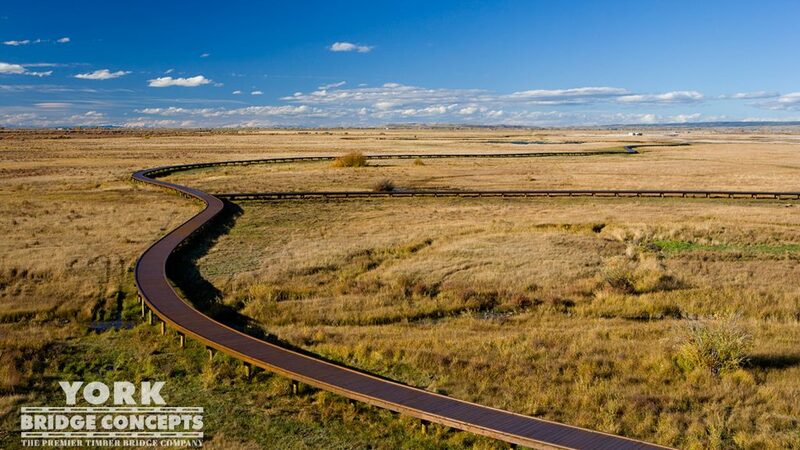 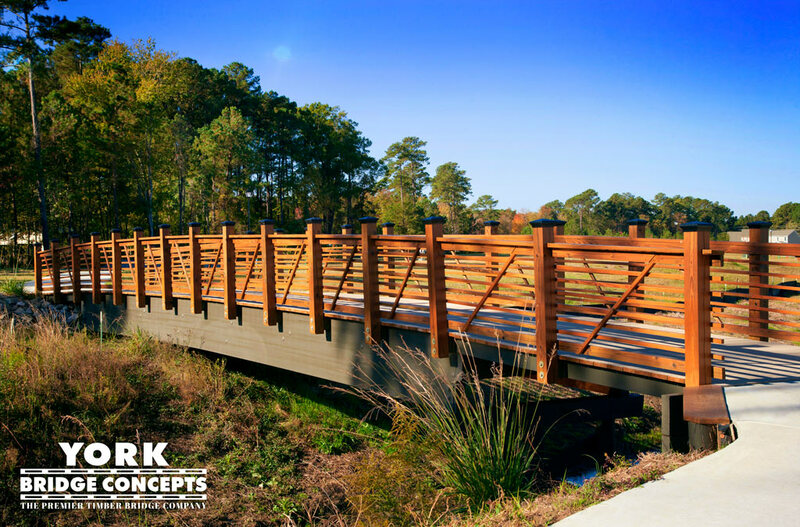 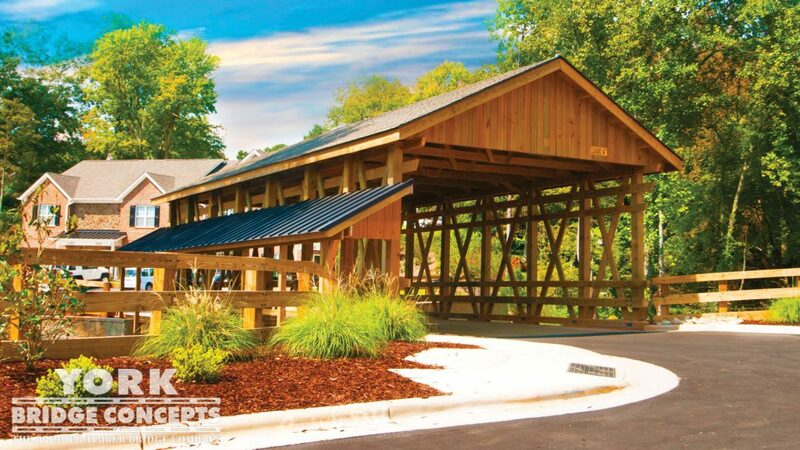 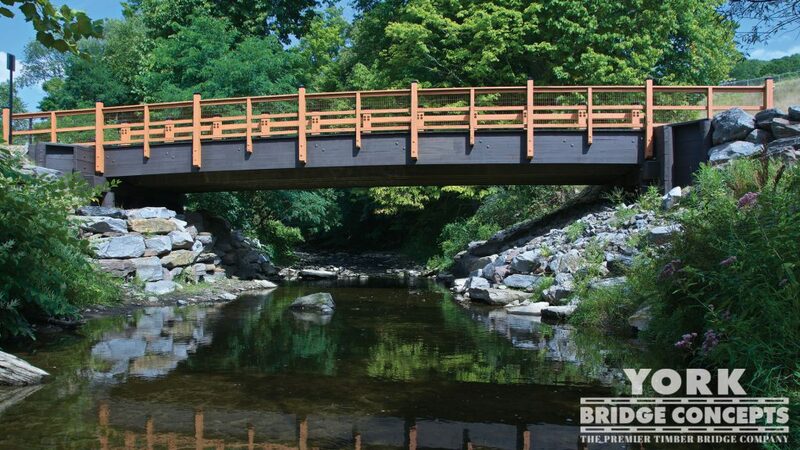 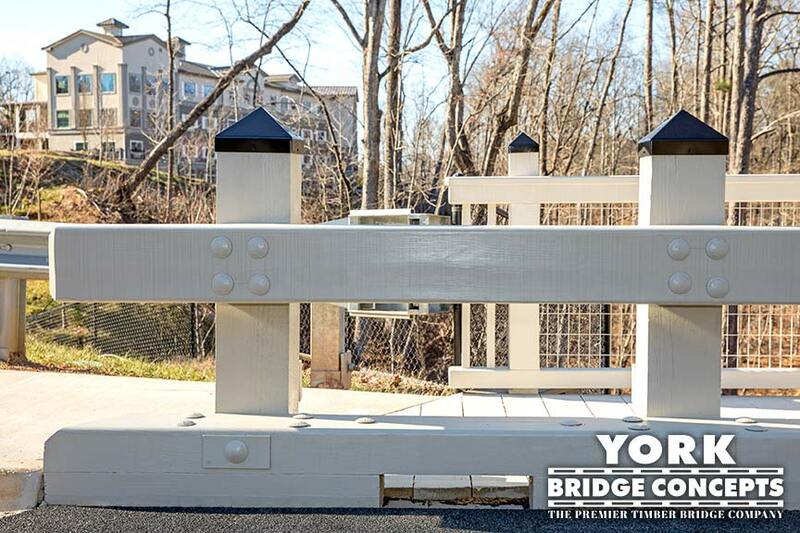 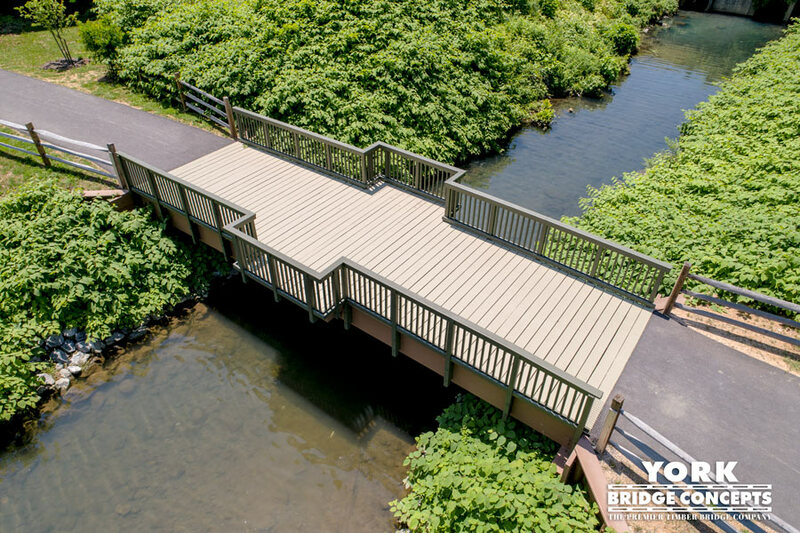 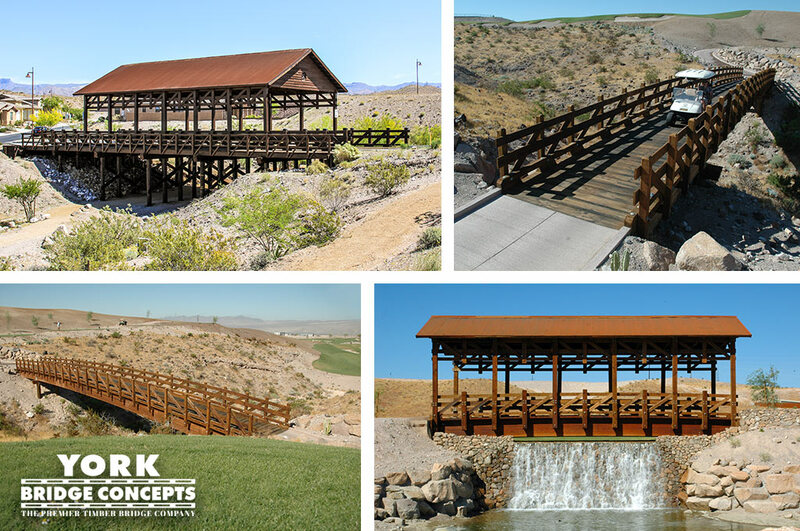 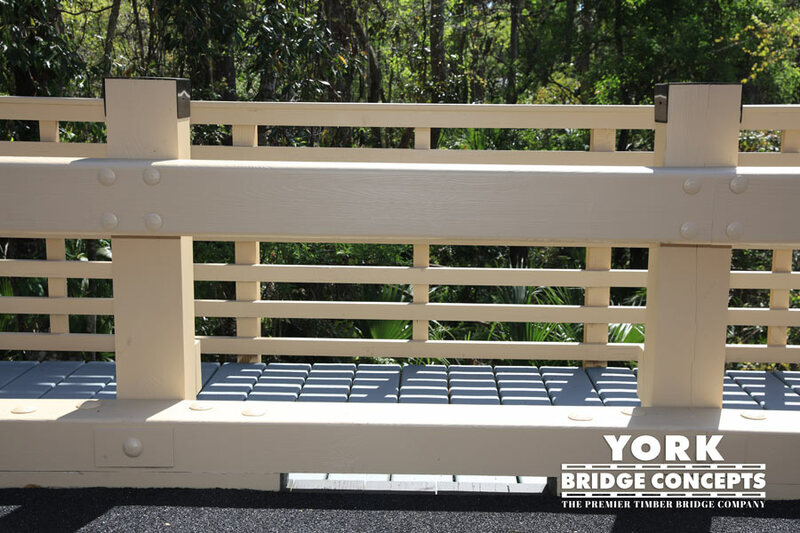 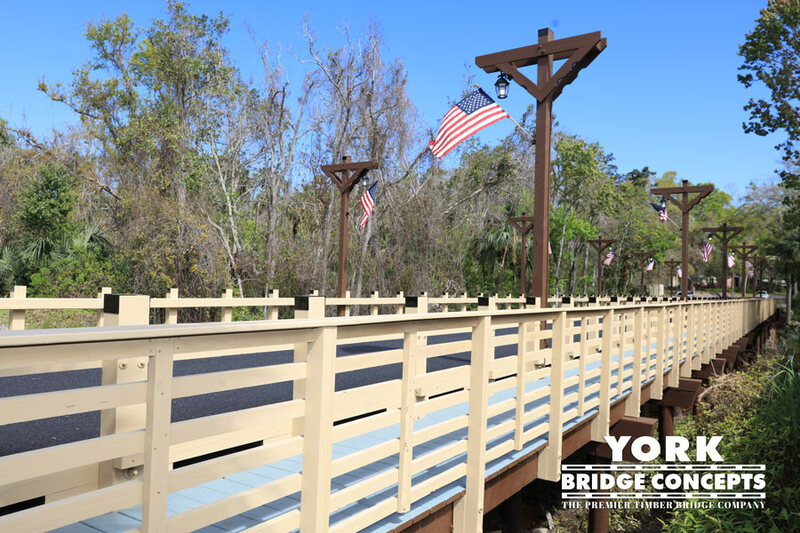 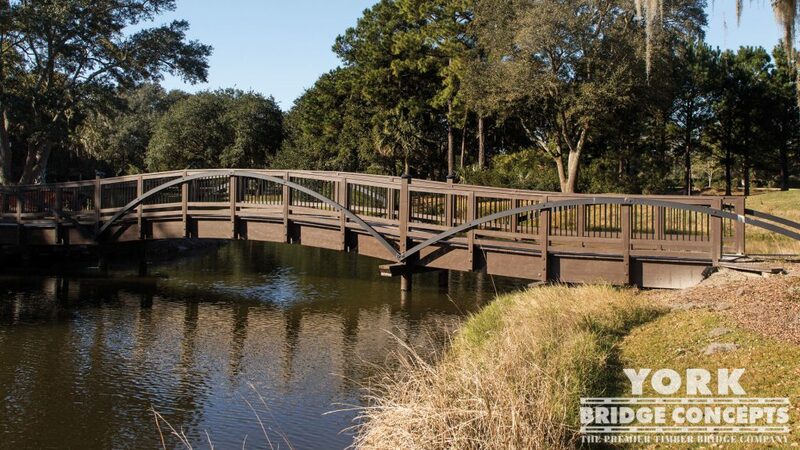 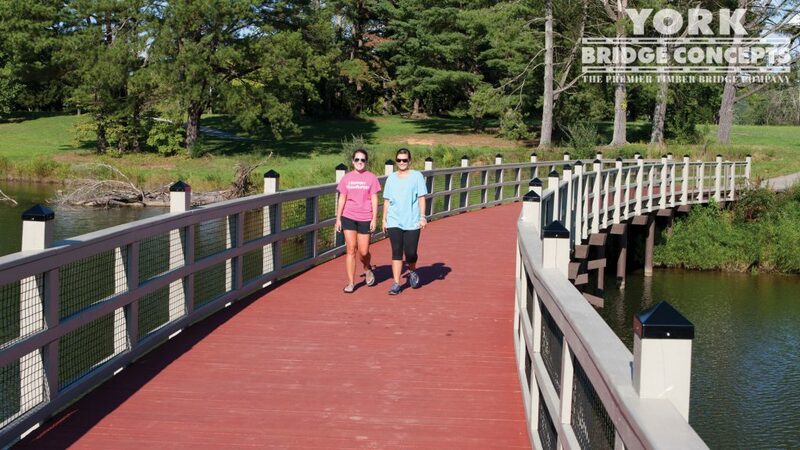 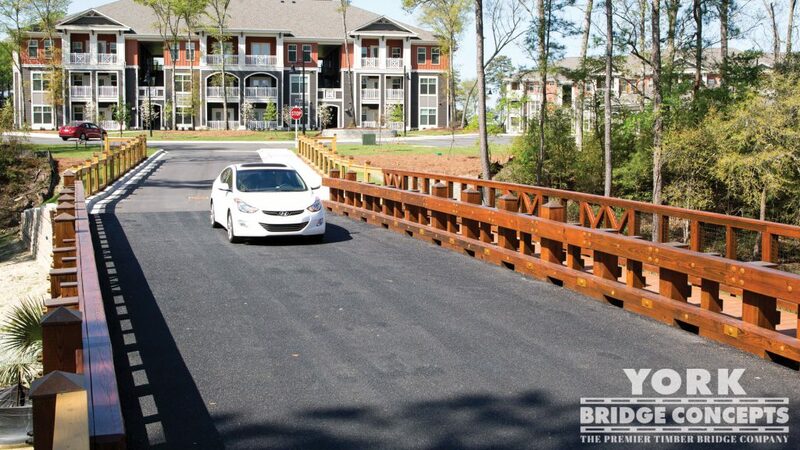 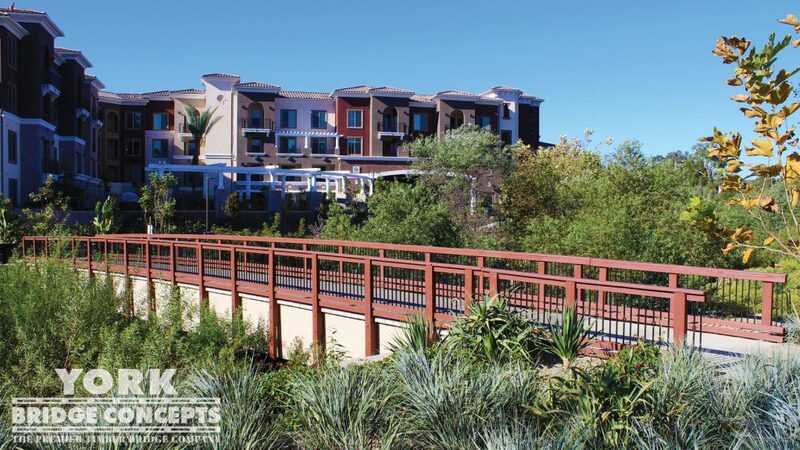 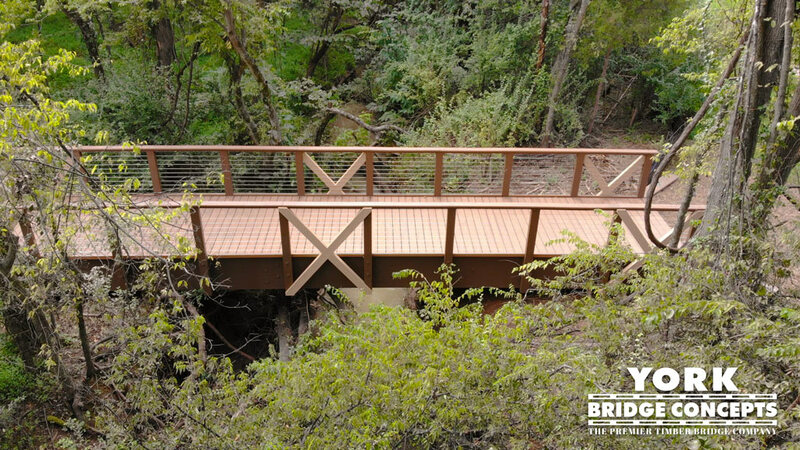 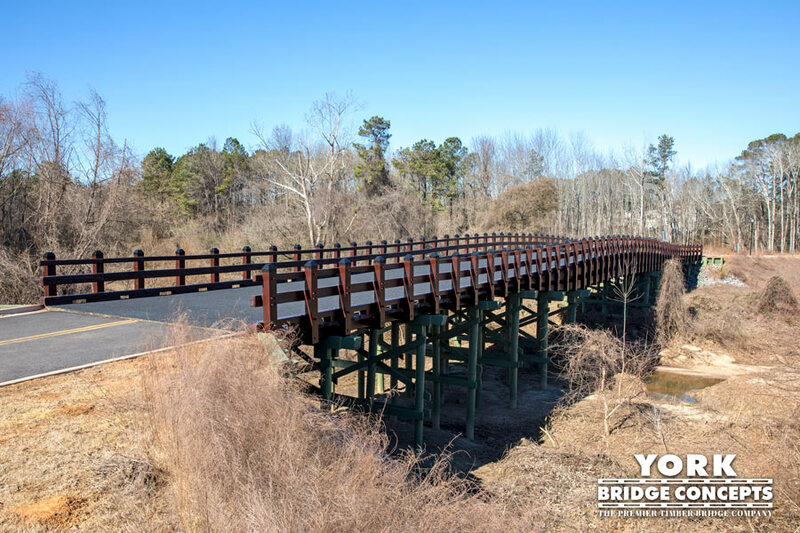 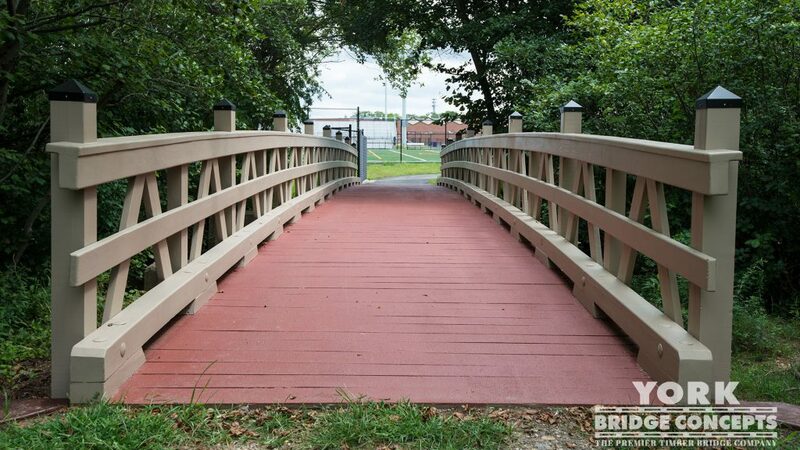 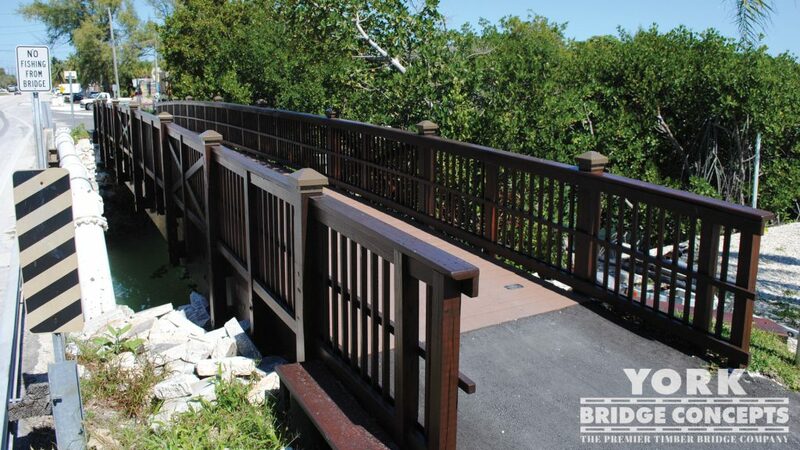 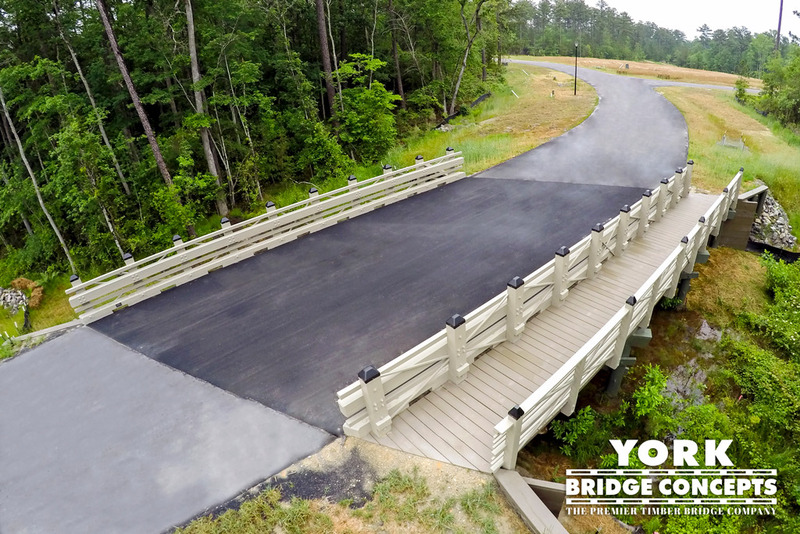 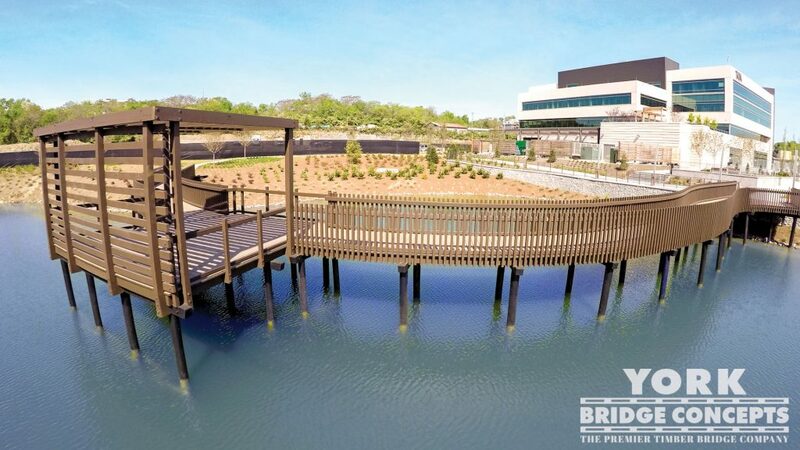 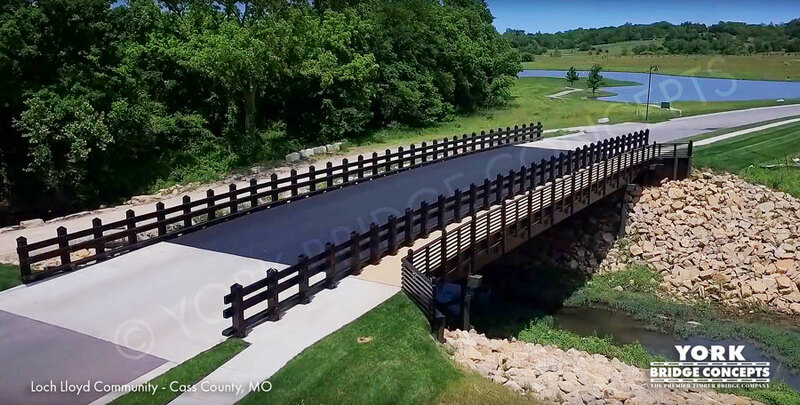 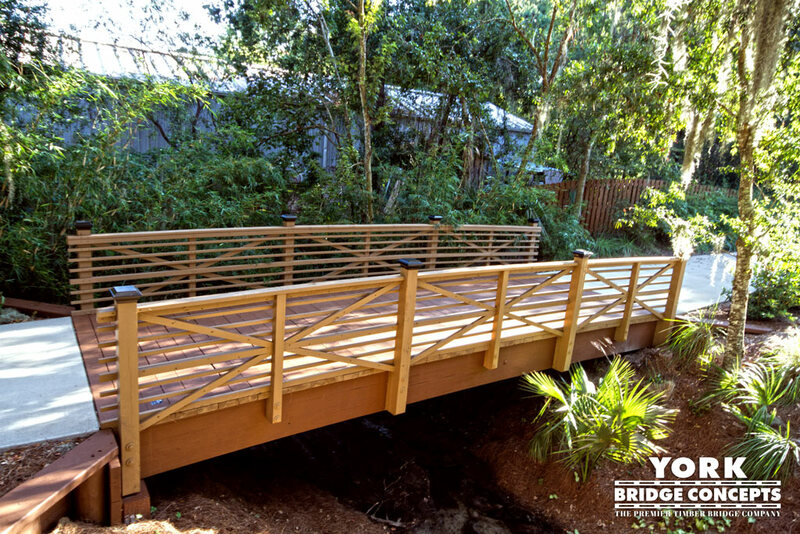 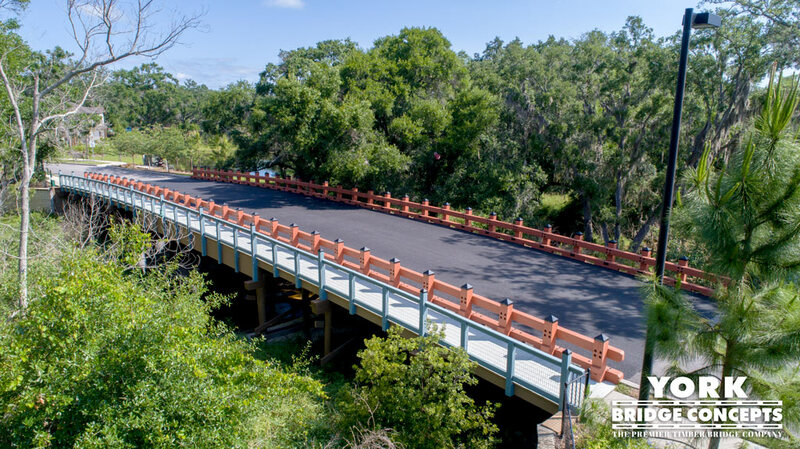 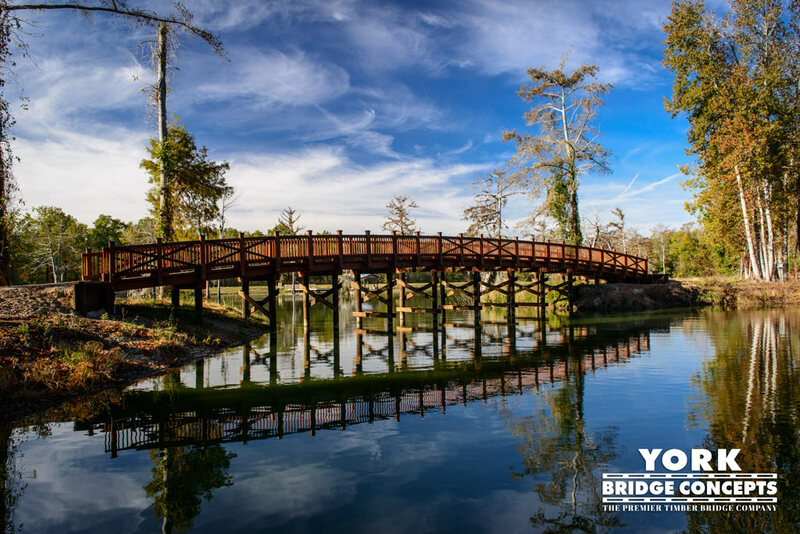 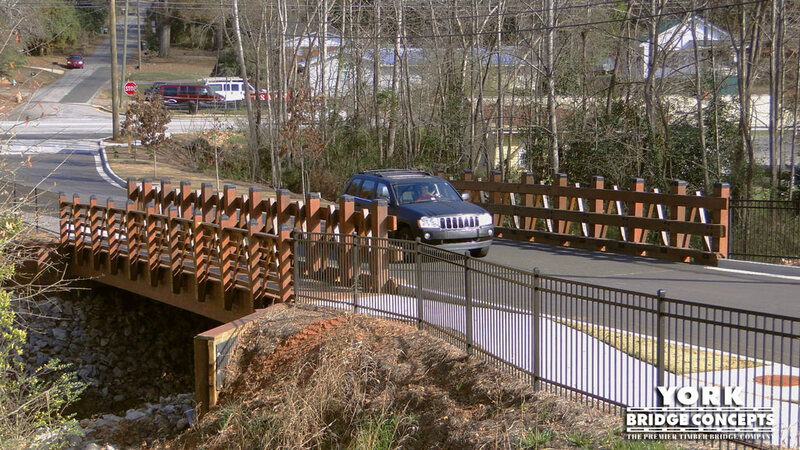 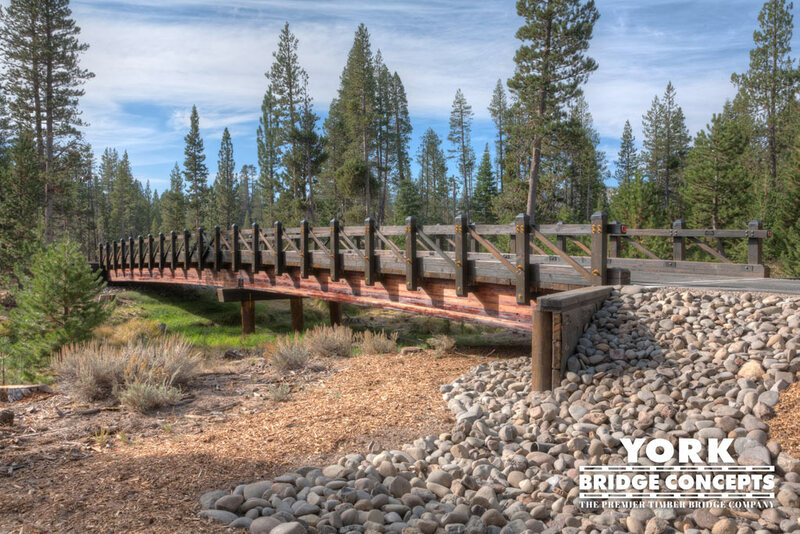 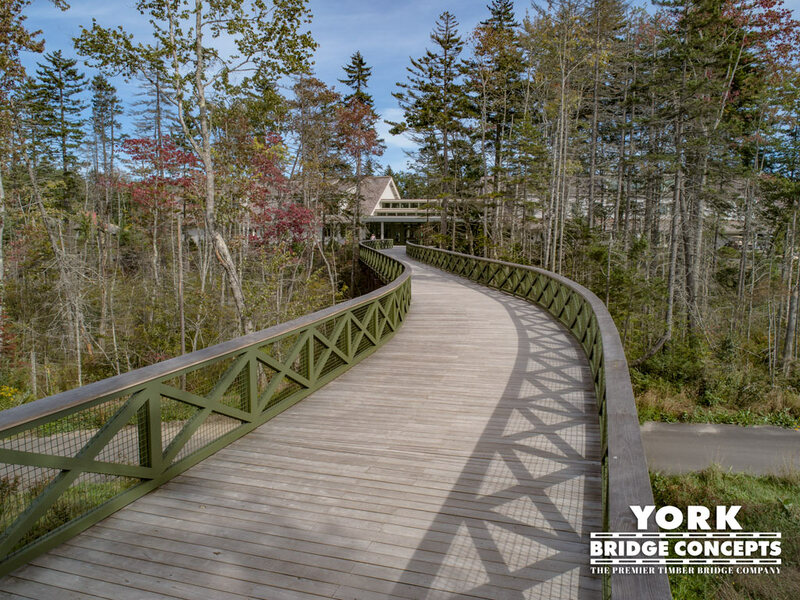 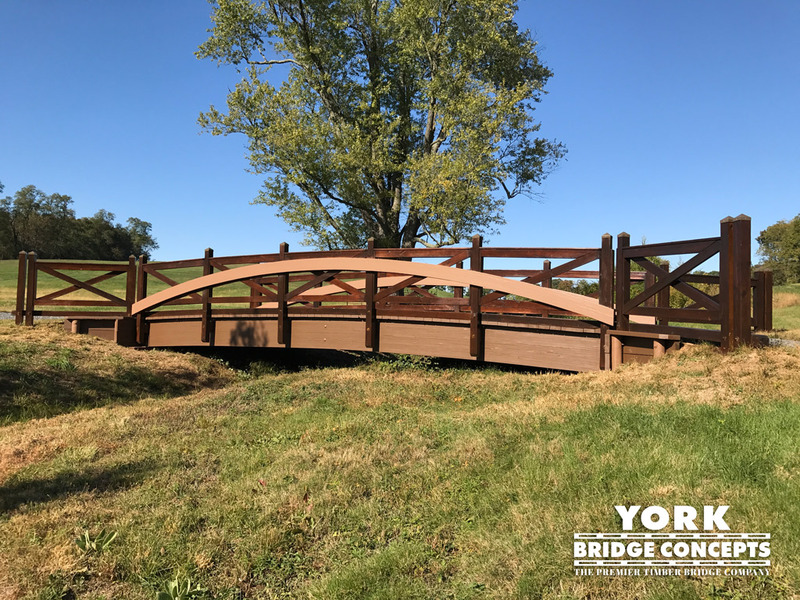 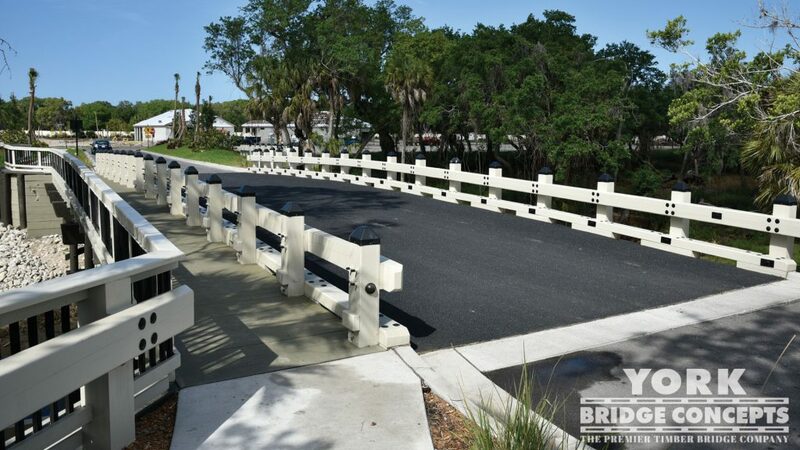 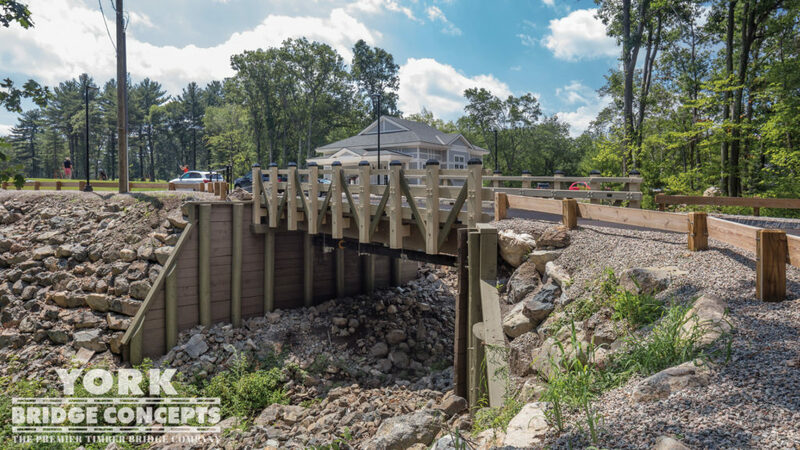 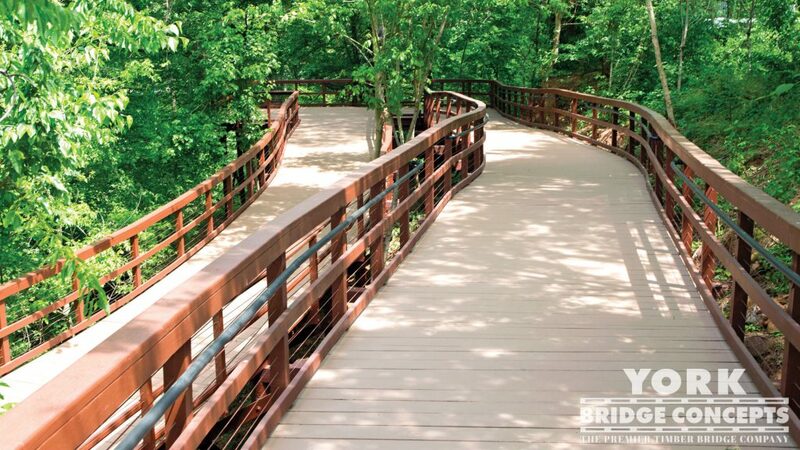 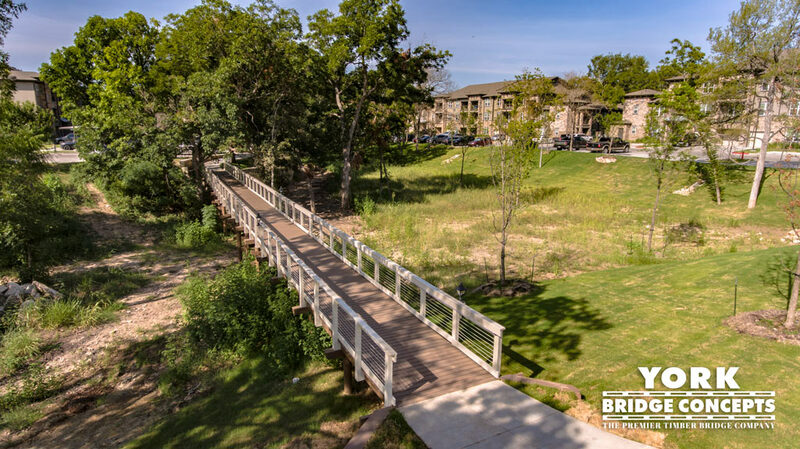 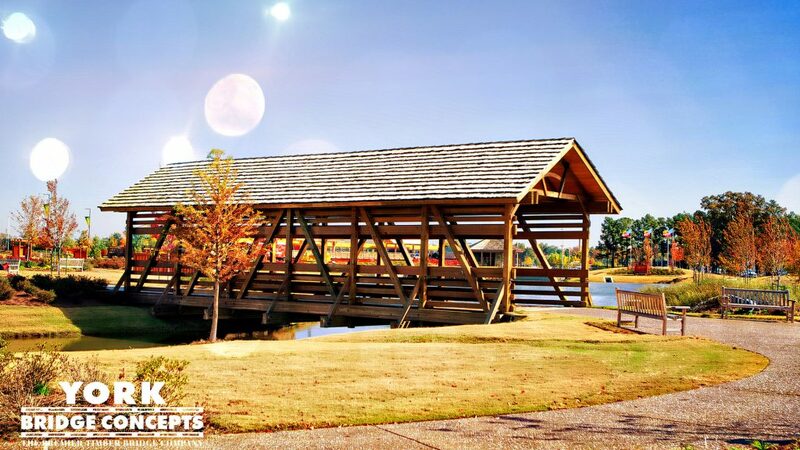 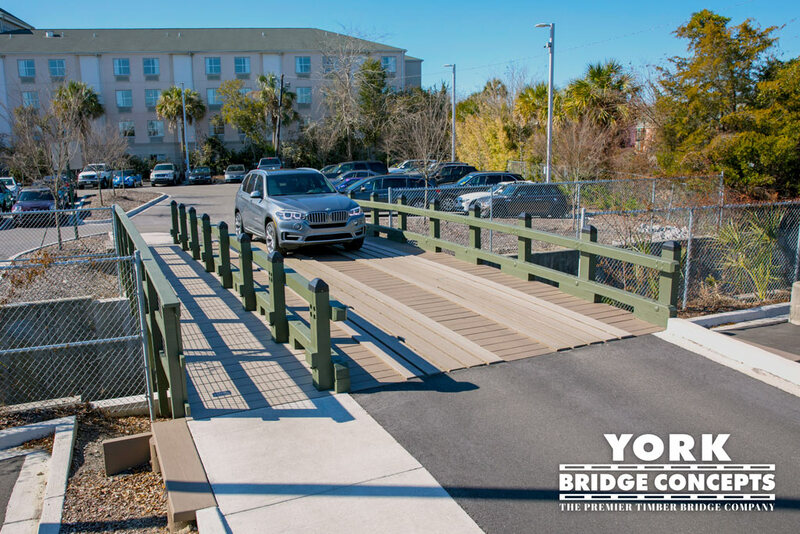 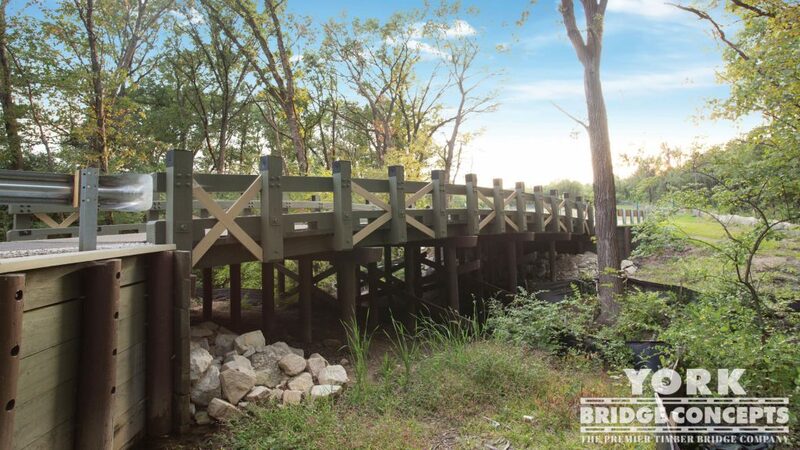 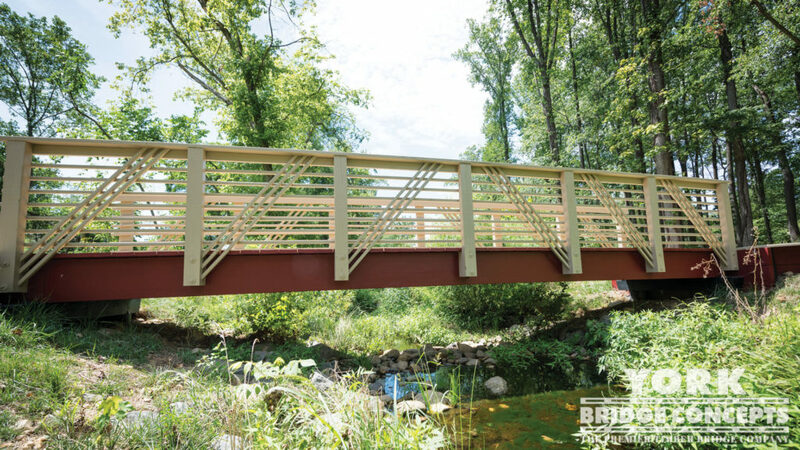 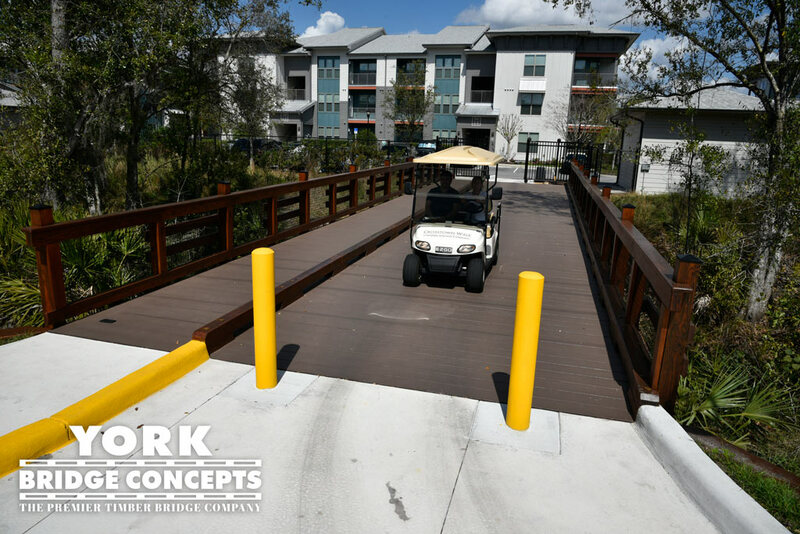 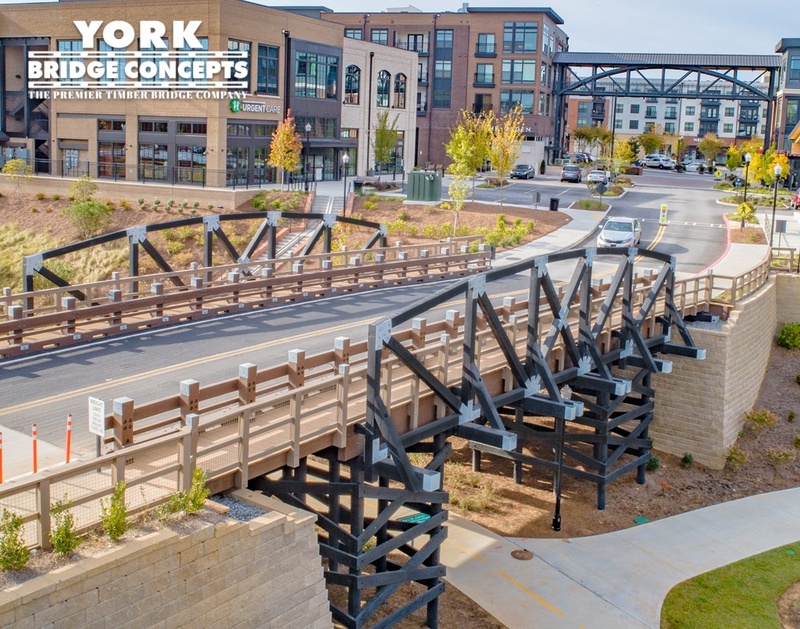 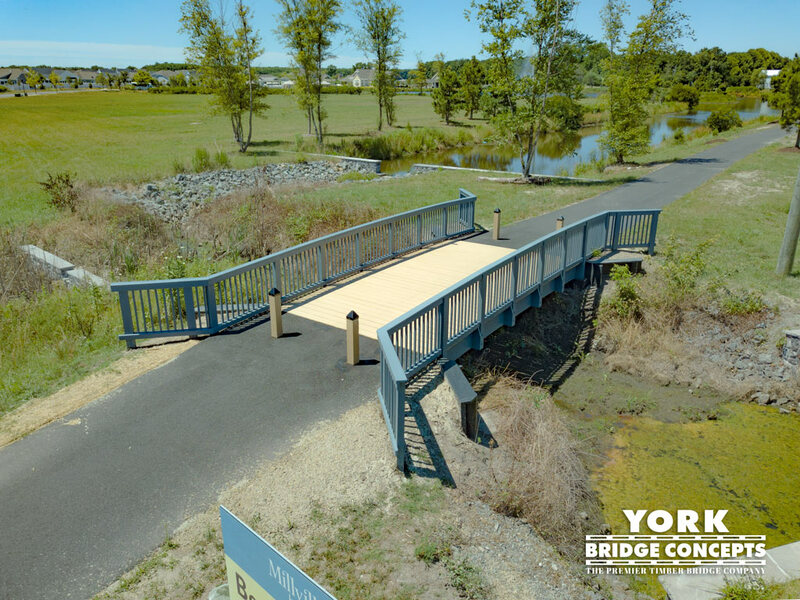 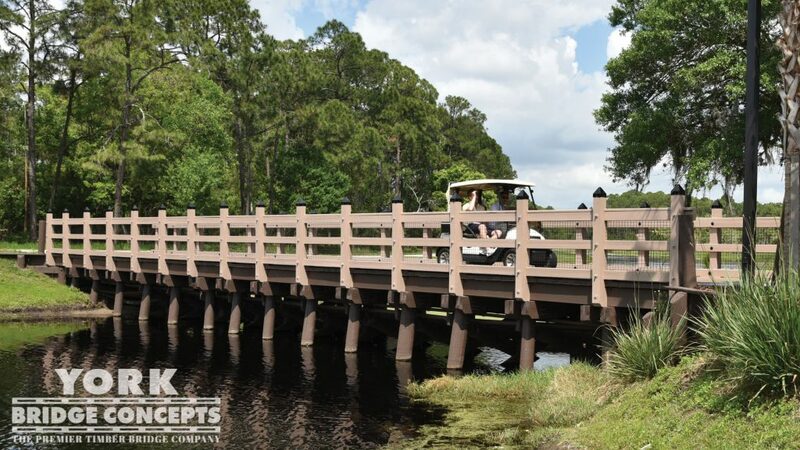 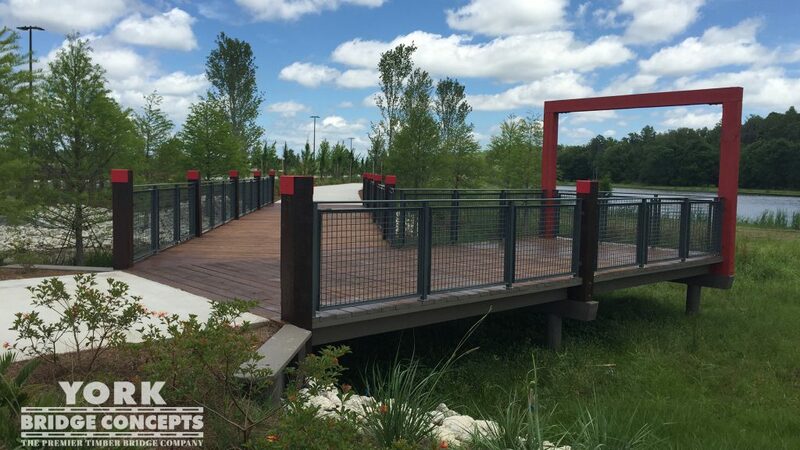 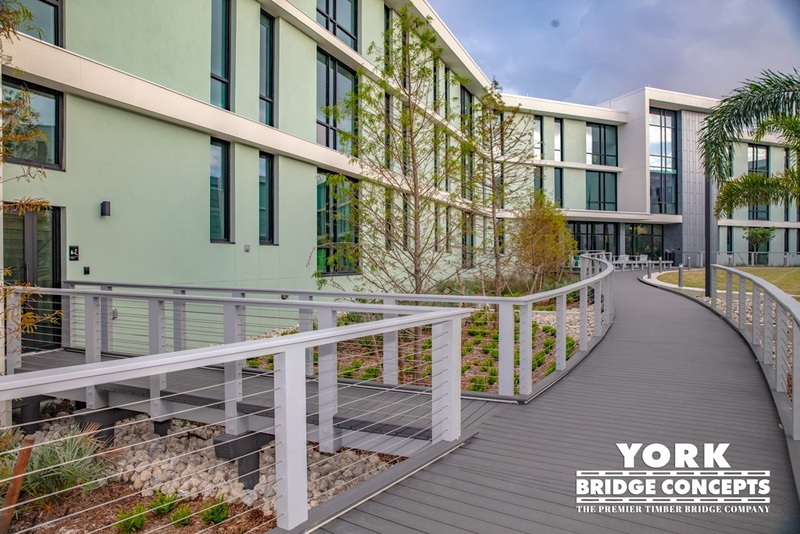 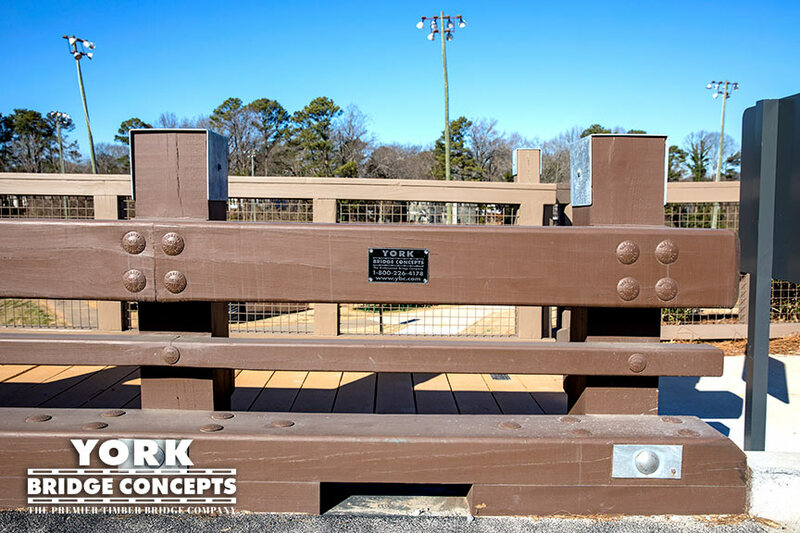 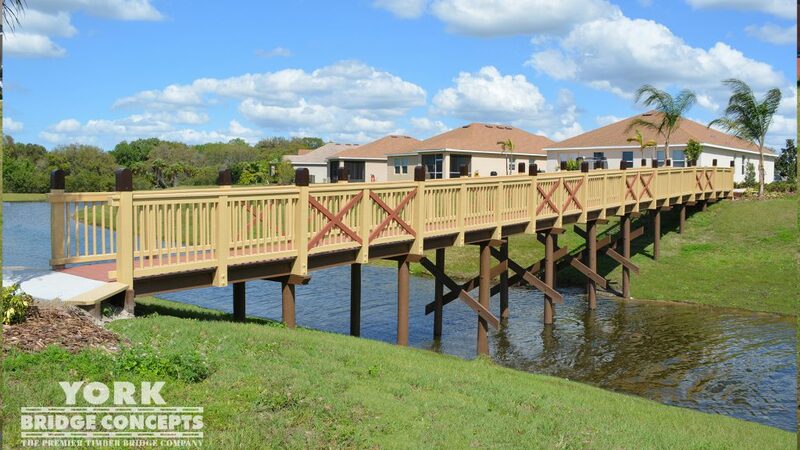 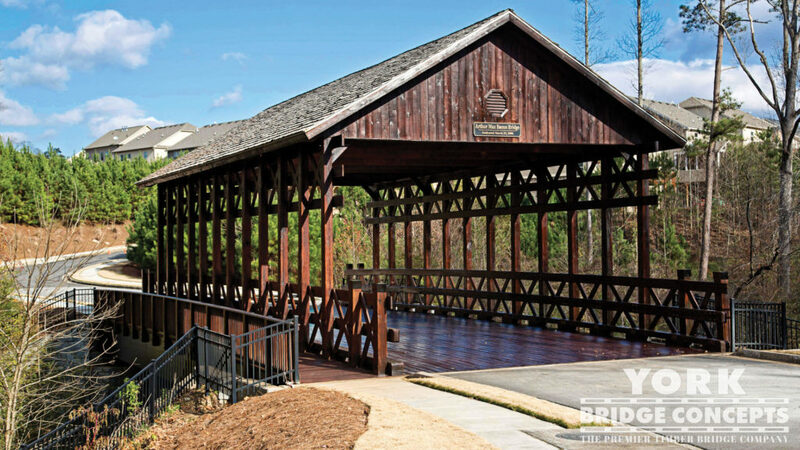 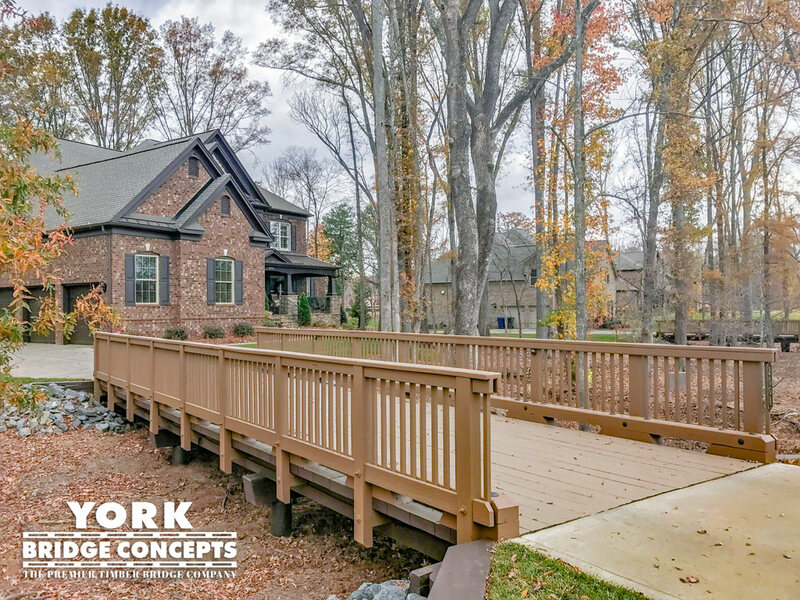 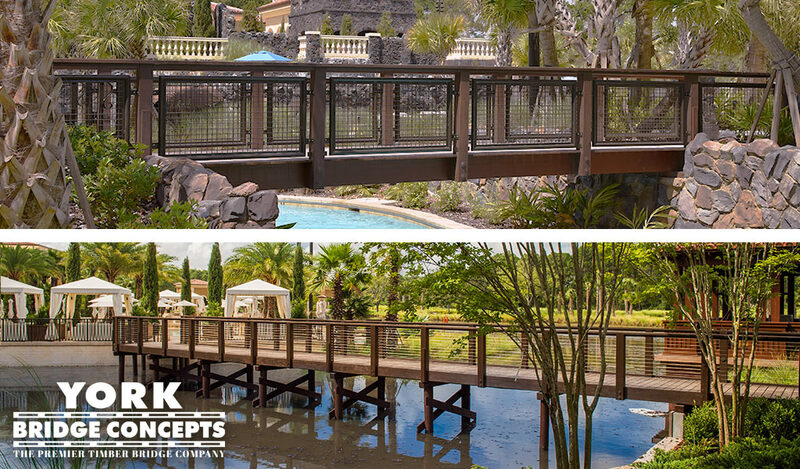 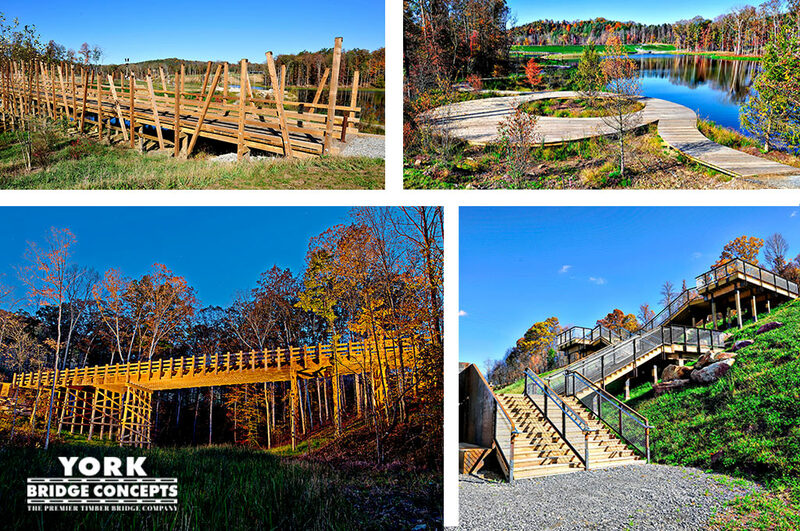 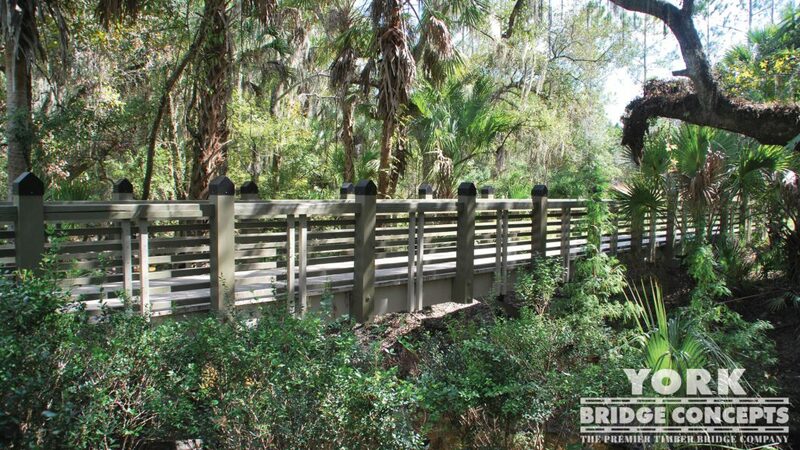 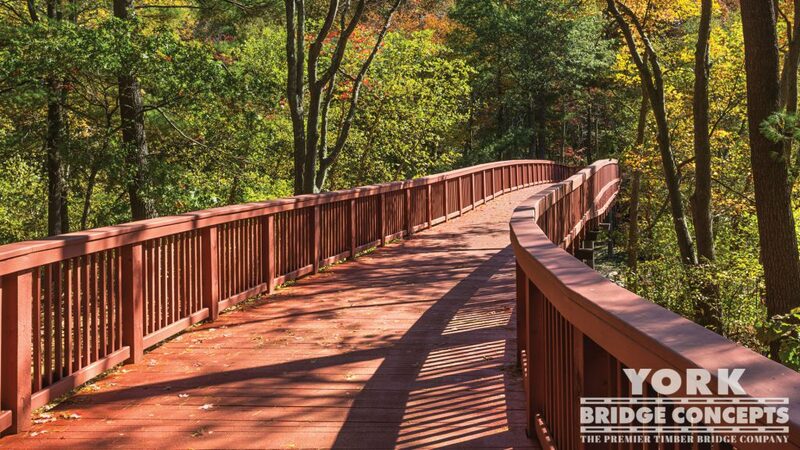 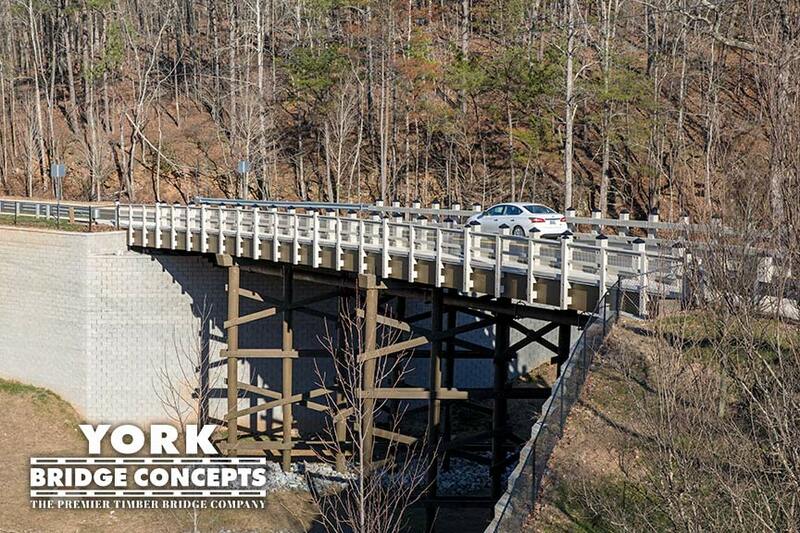 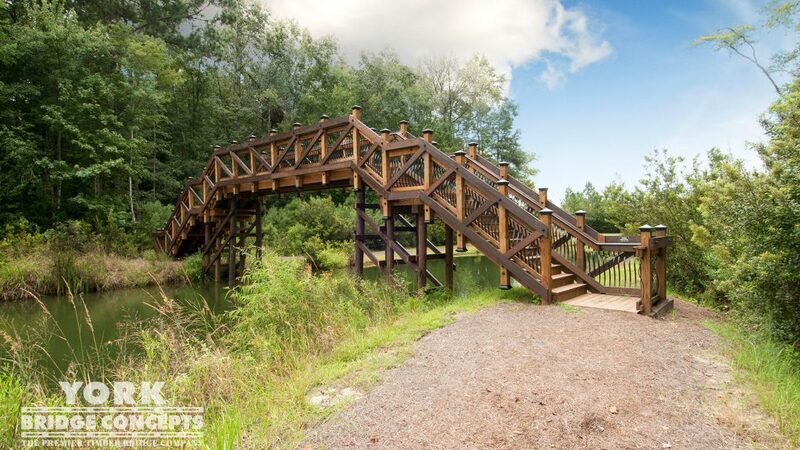 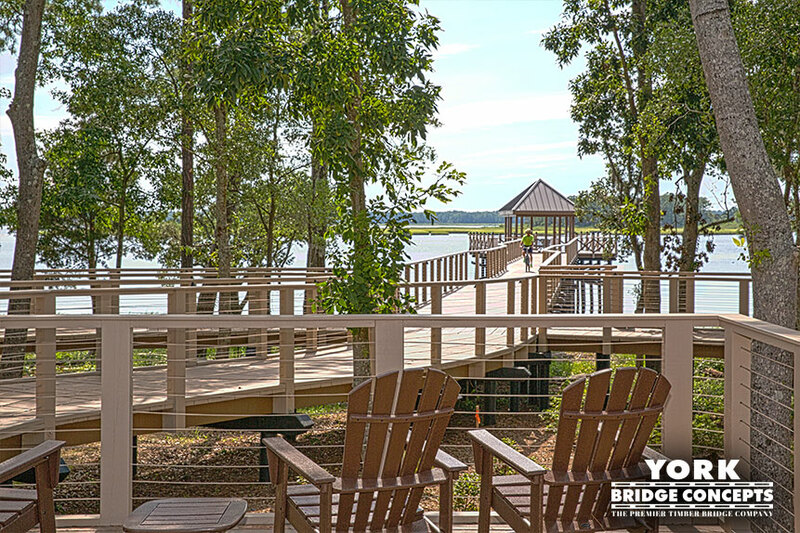 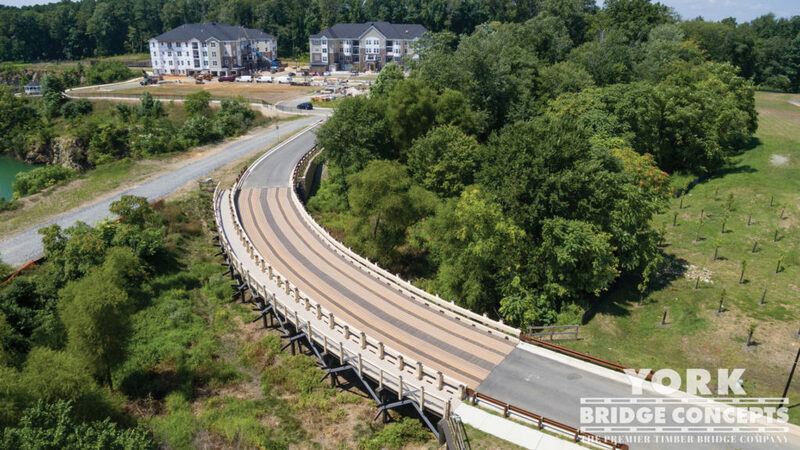 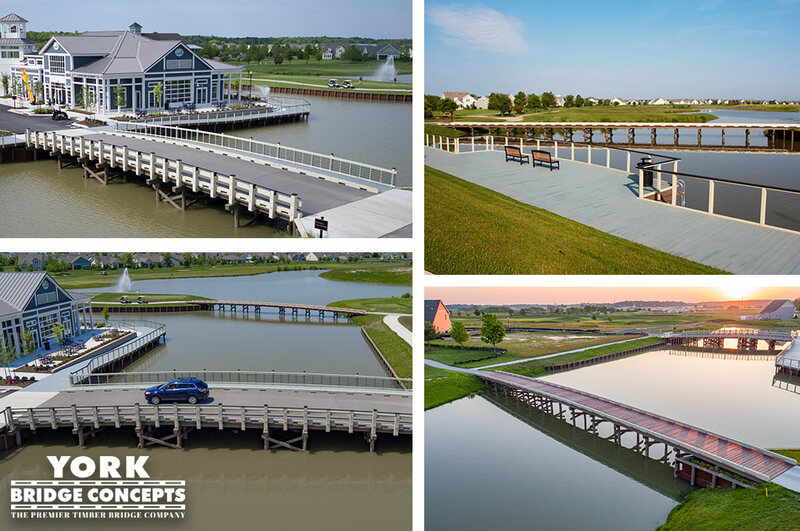 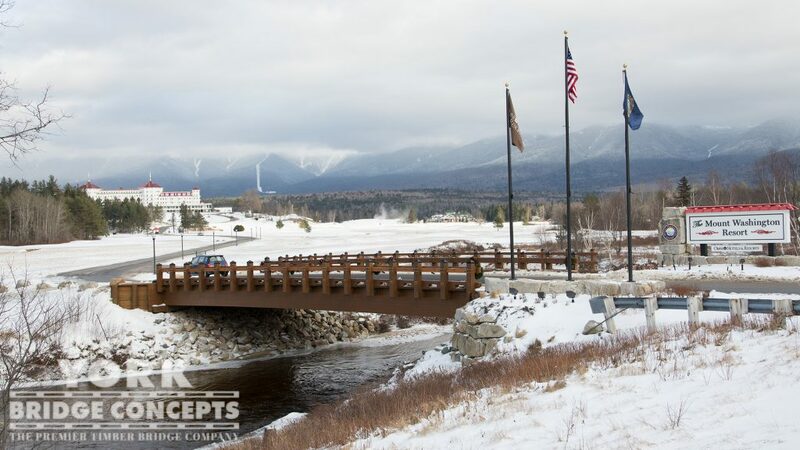 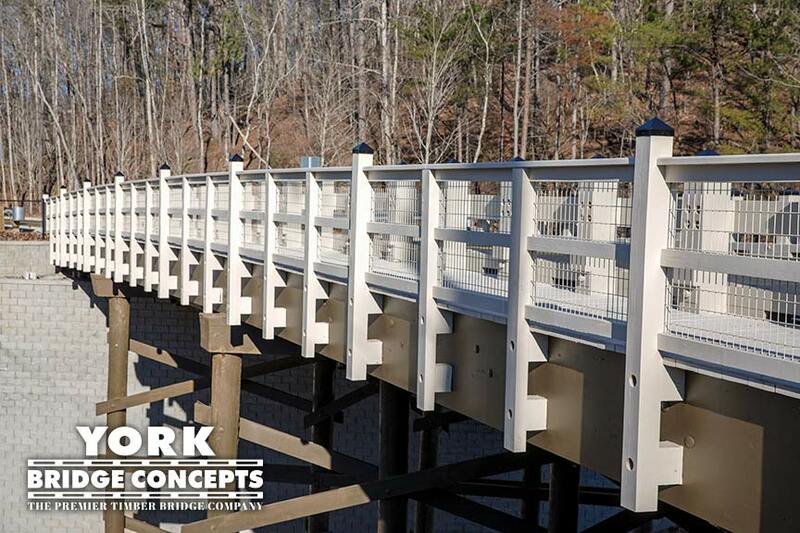 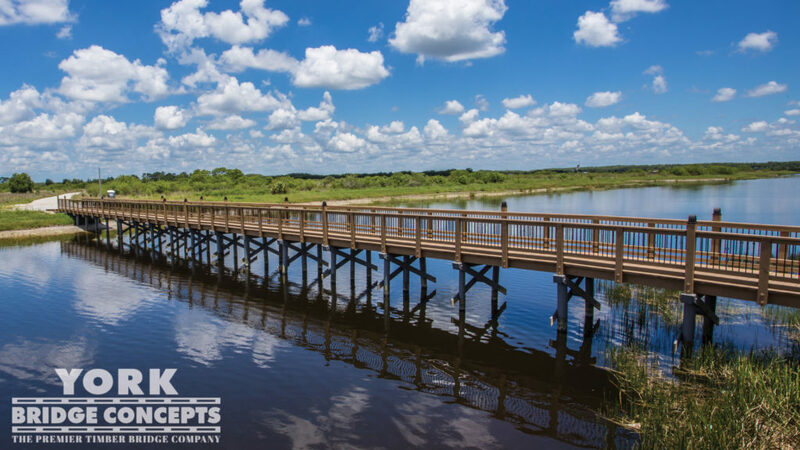 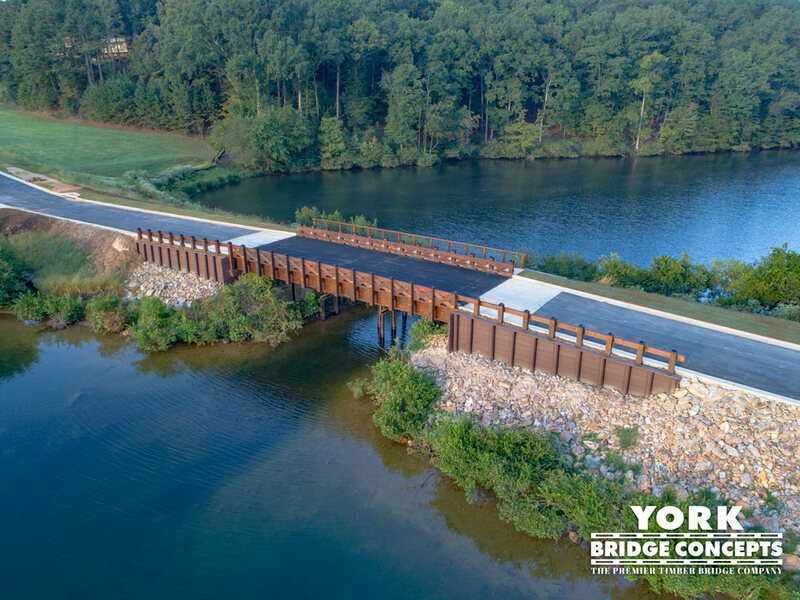 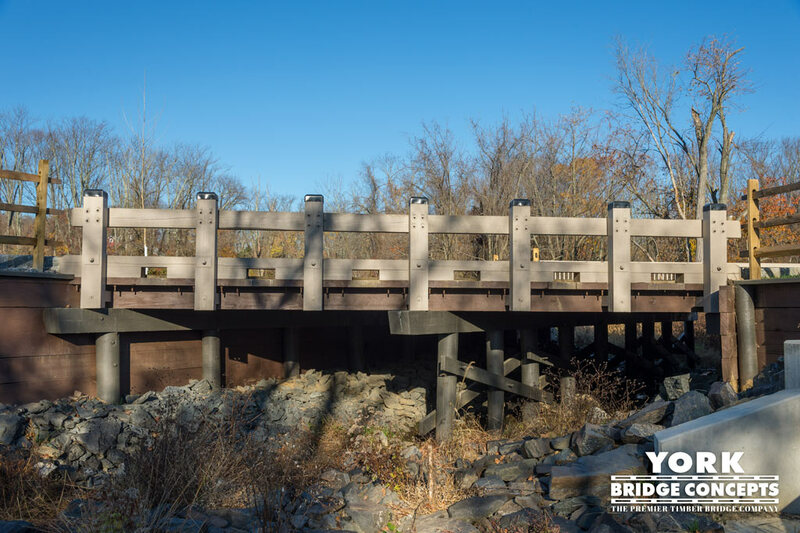 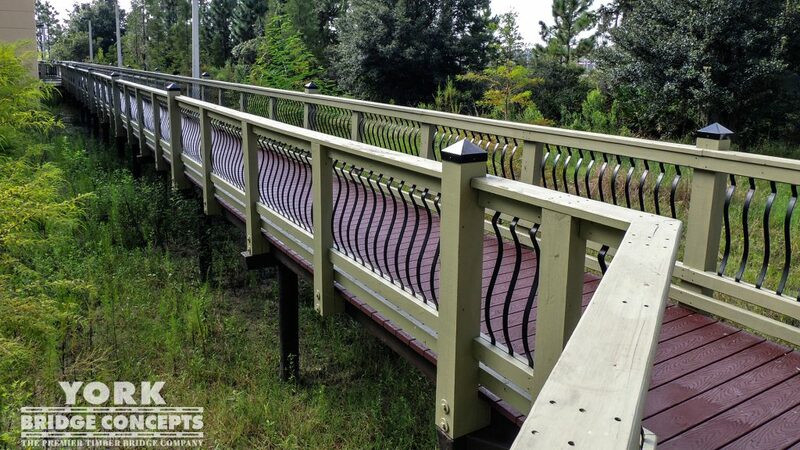 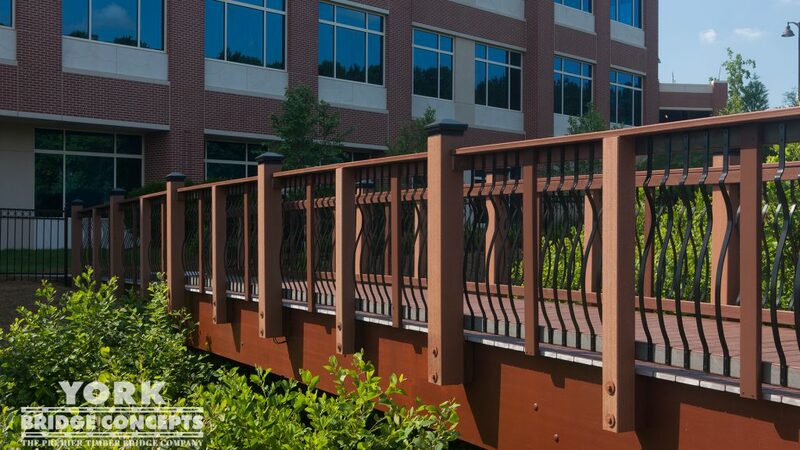 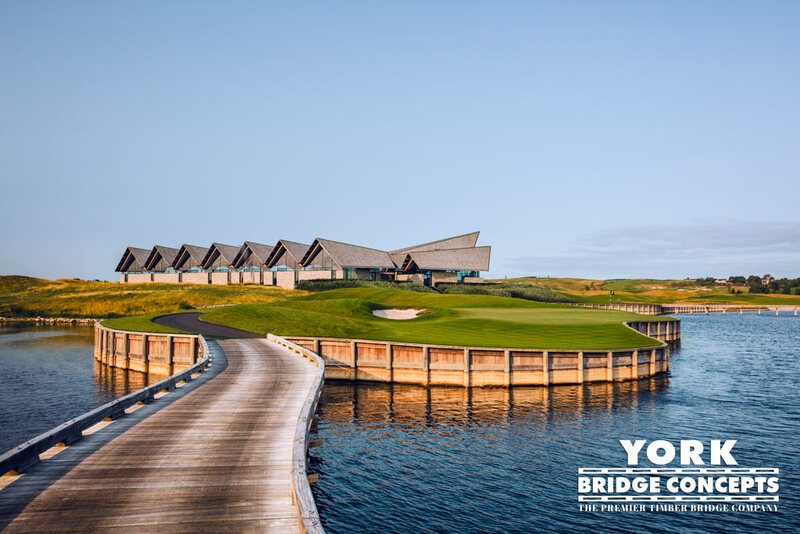 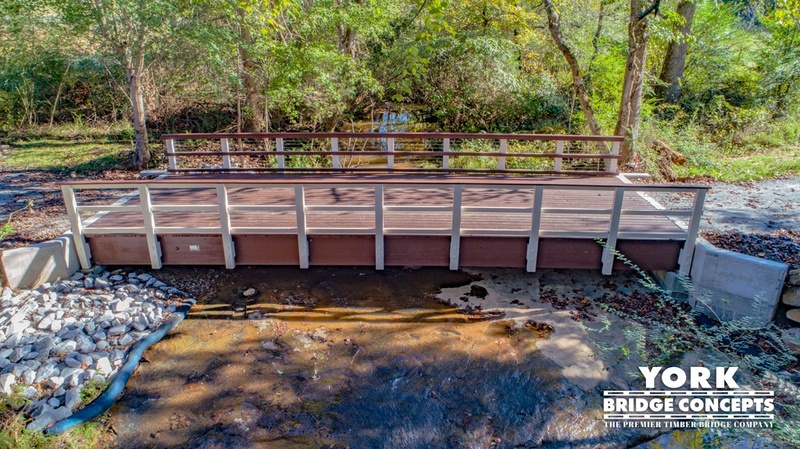 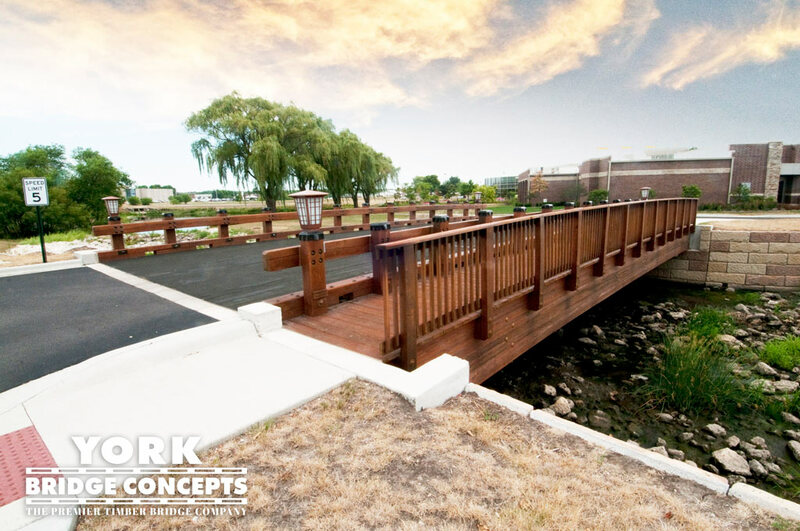 YBC partnered with Burroughs & Chapin to improve the connectivity of the site by creating a beautiful timber vehicular bridge crossing the development’s channel of fountains. 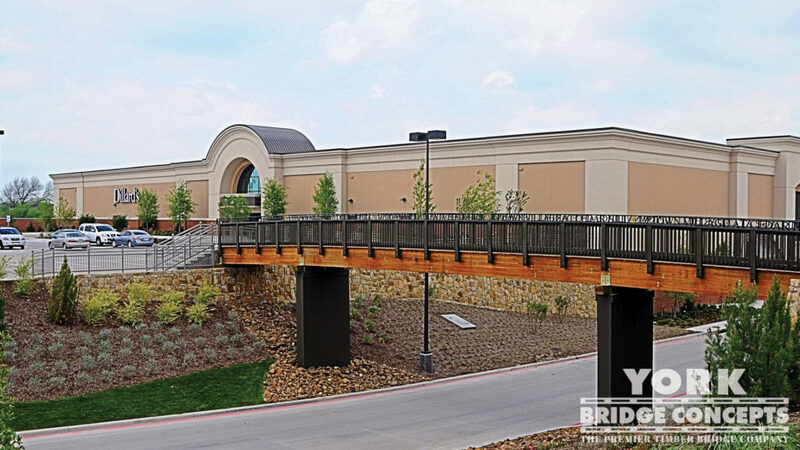 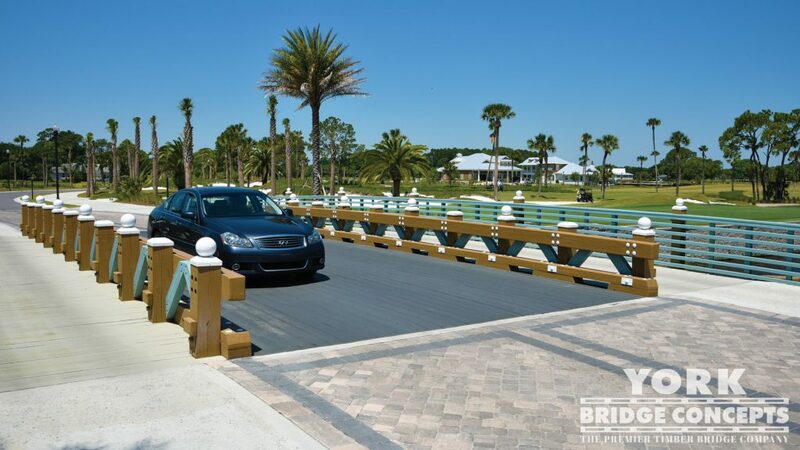 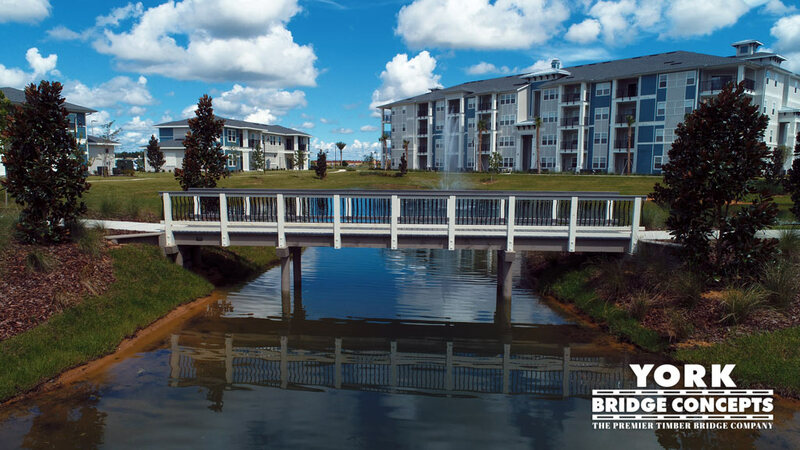 The new bridge serves as an iconic foreground to the renovated complex and fresh restaurant additions. 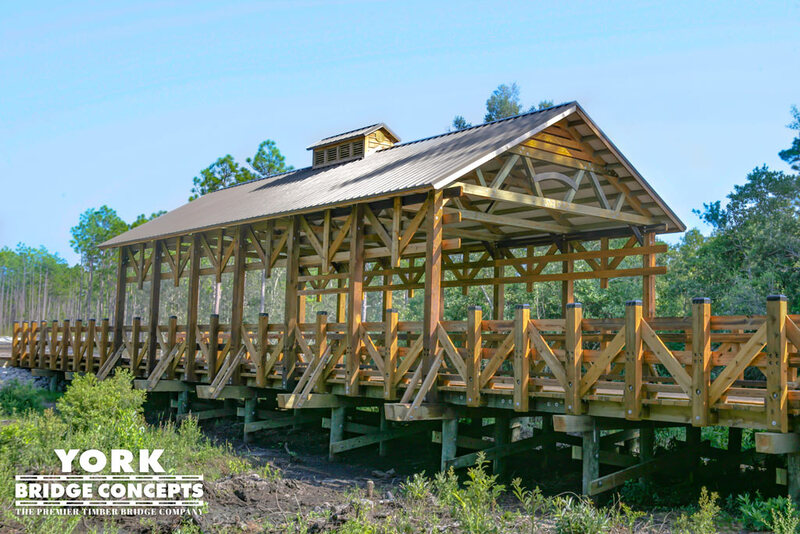 Glazed in a warm chestnut translucent oil with coastal infused blues and greys, the color palette has a rustic, low country vibe. 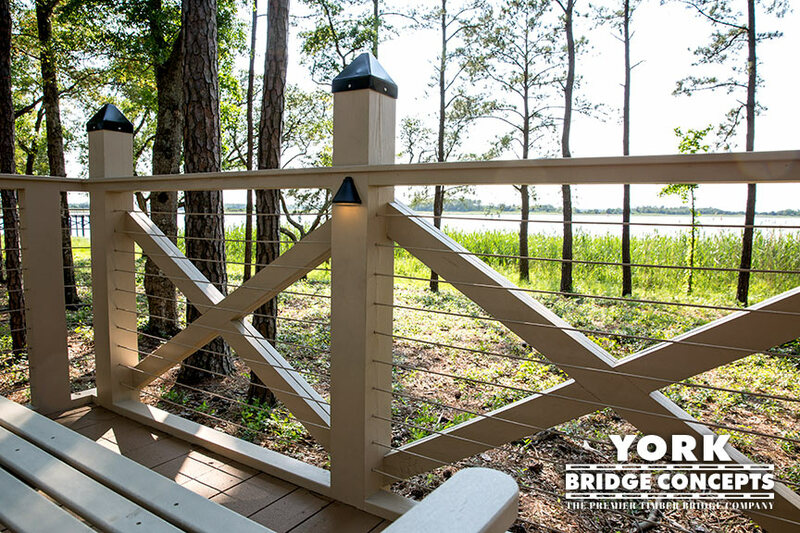 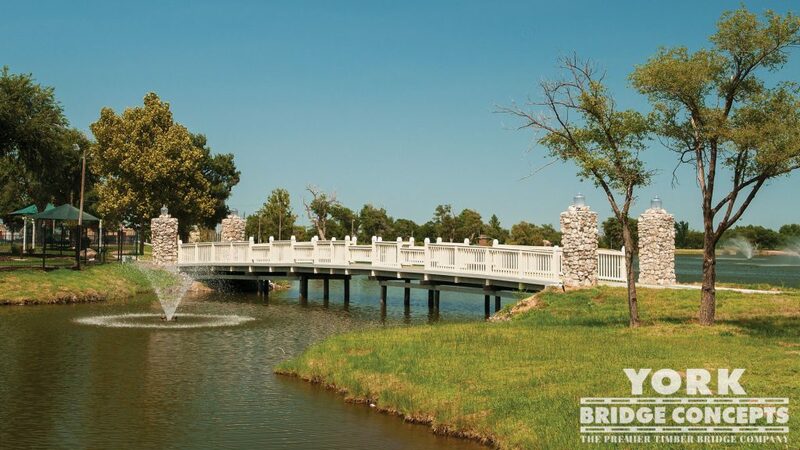 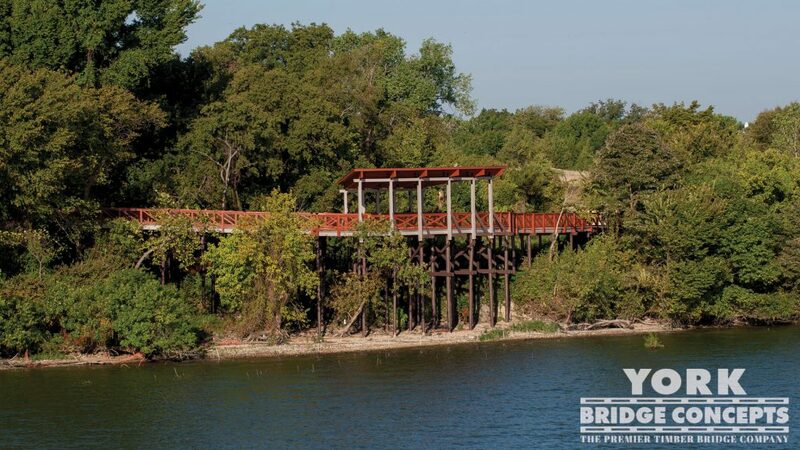 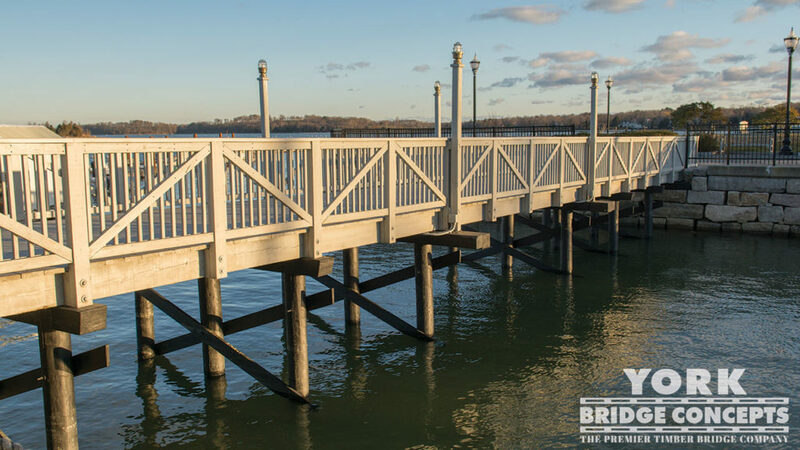 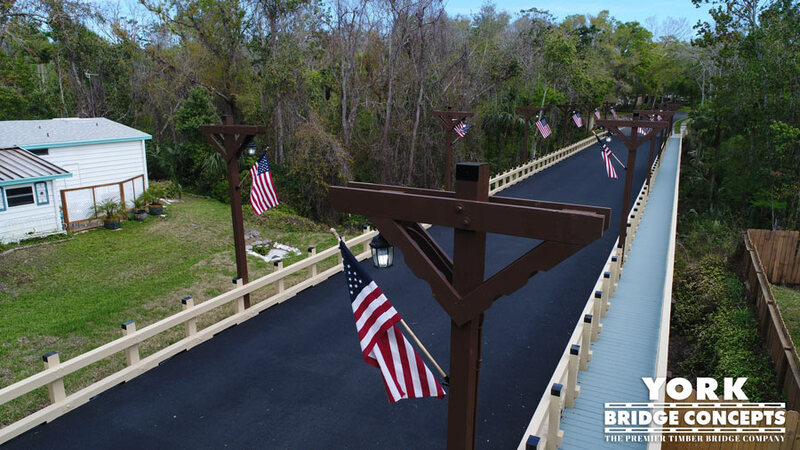 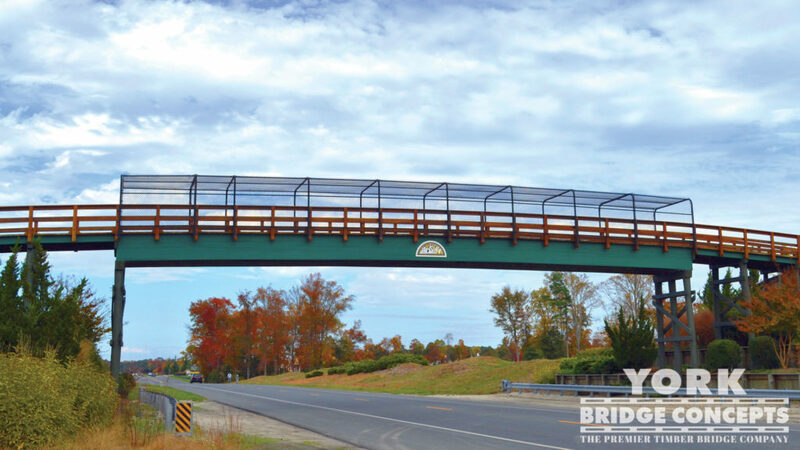 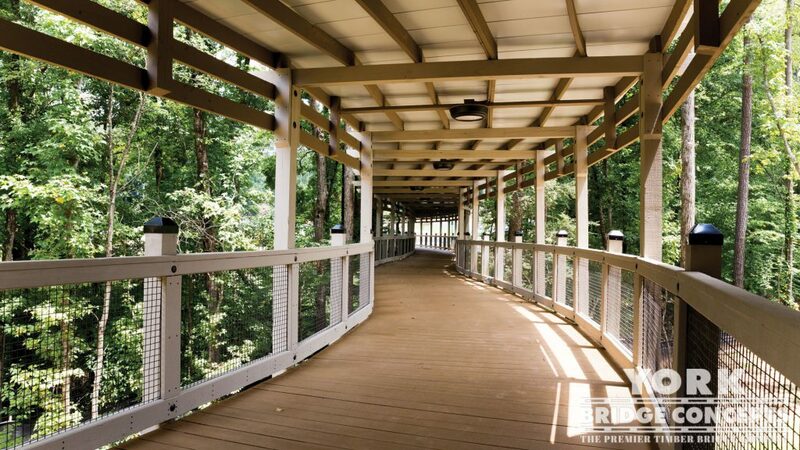 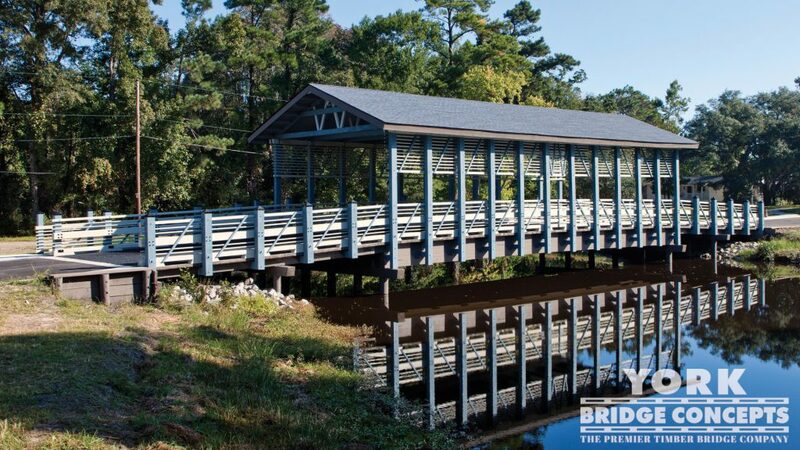 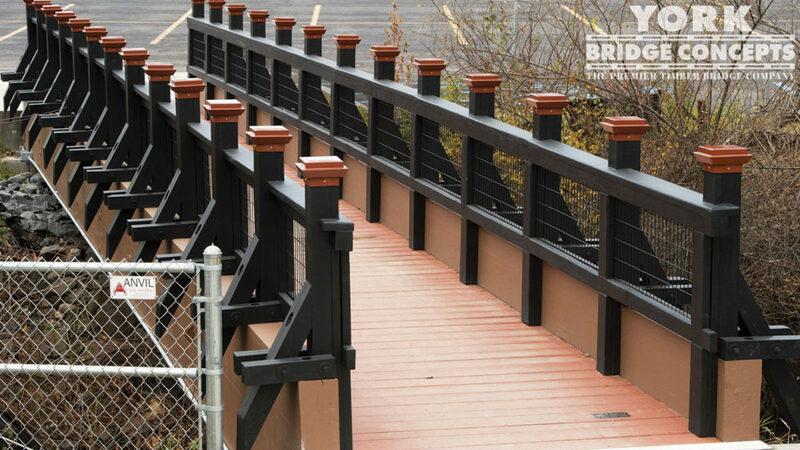 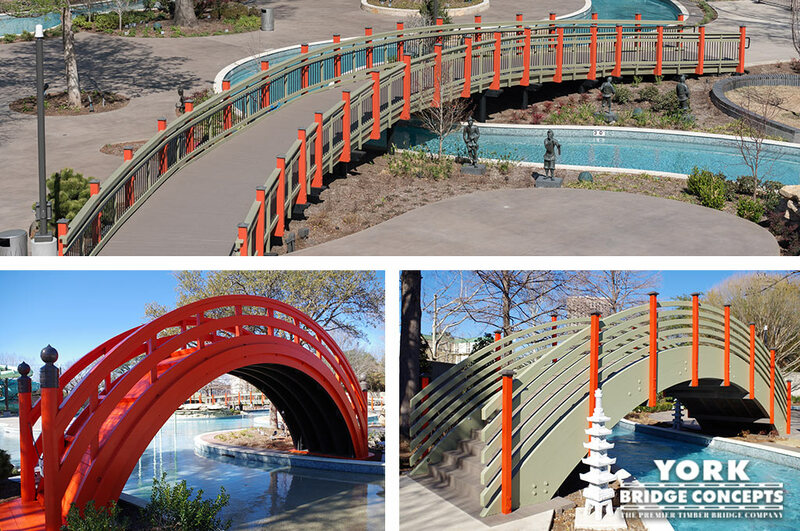 Garnished with hearty architectural x-accents that are contrasted by a slender pedestrian picket railing, the bridge’s design has the thick drawl of the south and the classic warmth of its hospitality. 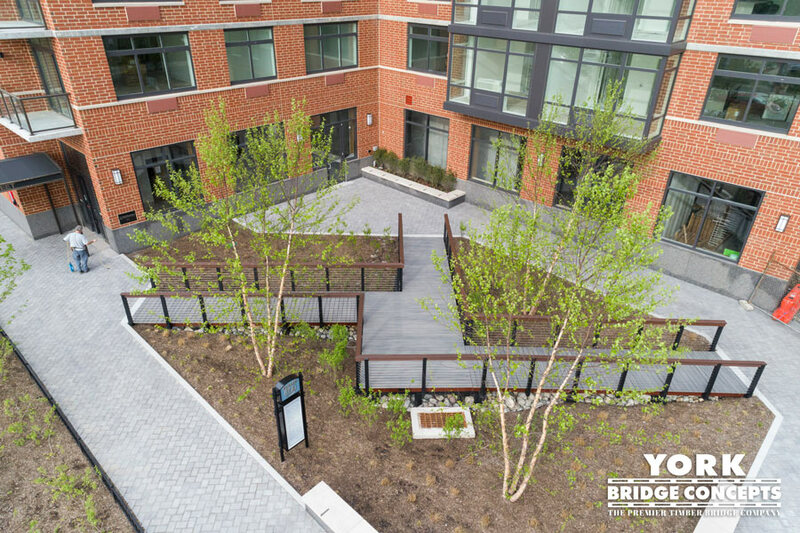 YBC’s field team demonstrated expert precision and dedication throughout the project, enabling an on-site design change that accommodated unanticipated utilities and remained on schedule. 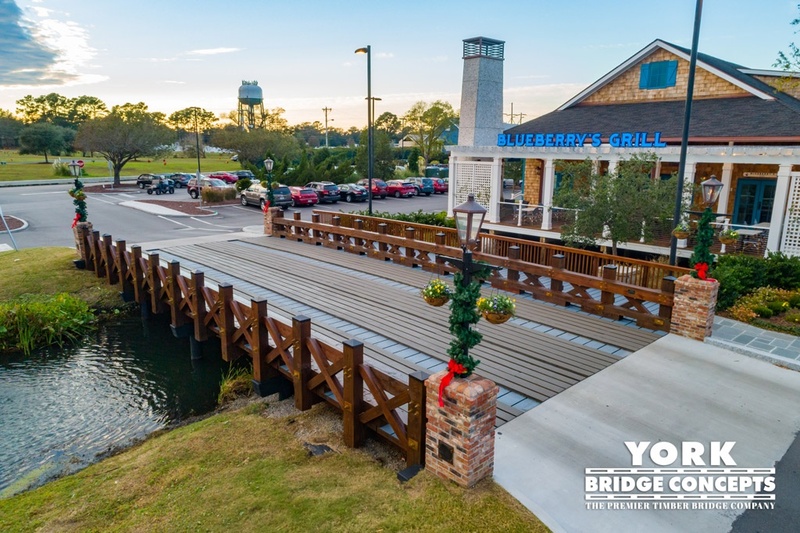 Food and fun at Barefoot Landing on the Waterway just got even more enticing and YBC was happy to be a party to its upgraded appeal.